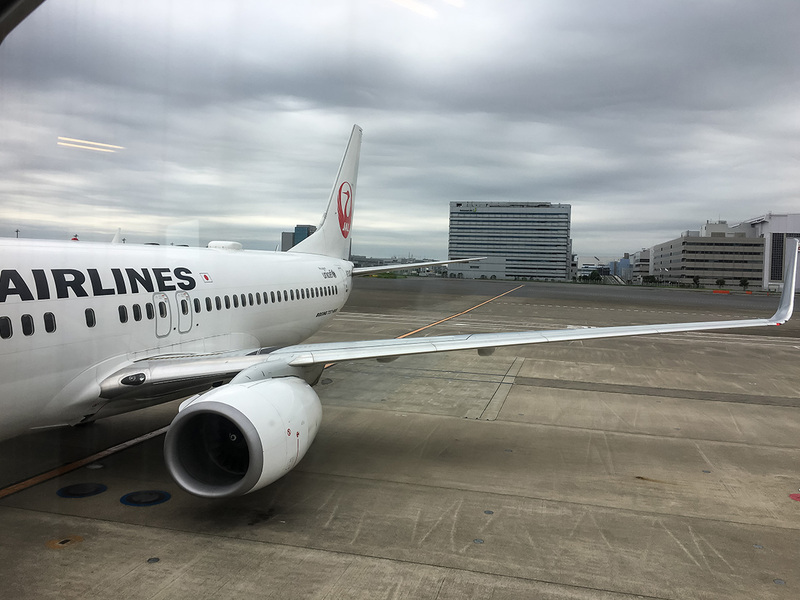 I flew on JAL to Tokyo.Staff on the flight were relaxed and politely guided passengers to their seats.The choices of in-flight meals were also in line with expectations, and compared to Taiwanese airlines, the in-flight meals offered by Japanese airlines were rich in variety and the high level of Japanese hospitality was evident. 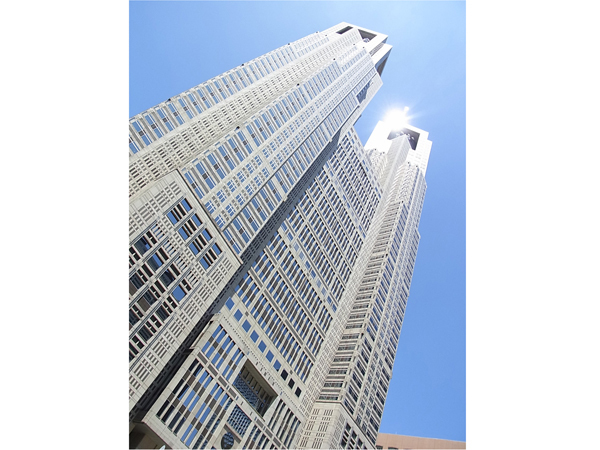 The Tokyo Metropolitan Government is a twin tower building, each with an observation deck, both of which are free. The closing times of the decks differ, with the south observation deck closing at 5:30 pm and the north observation deck closing at 11:00 pm. If you download the free guide app before you visit the Tokyo Metropolitan Government Office, you can listen to tours of the streets of Tokyo in different languages.In the middle of the north observation deck is an extra large souvenir corner of the famous HAKUHINKAN TOY PARK, known for its toys, where you can buy Tokyo-branded souvenirs and anime goods. 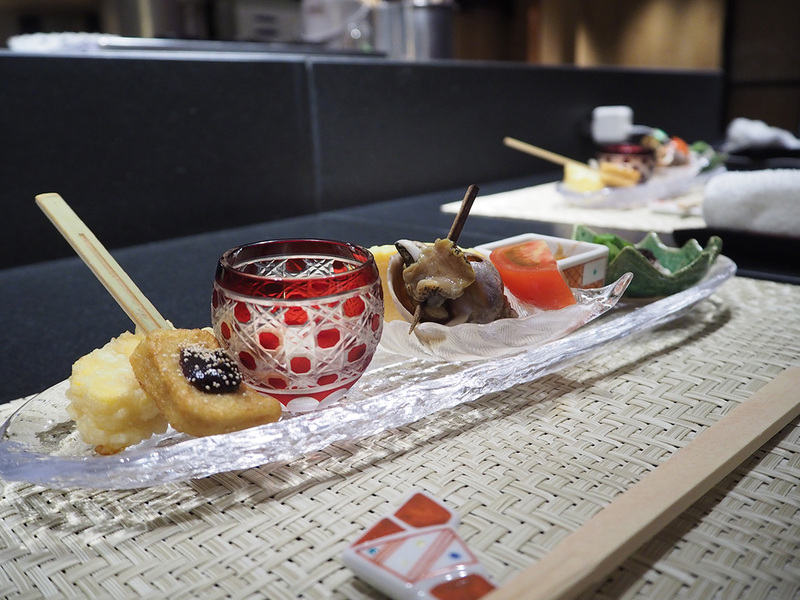 Tokyo’s Shinjuku is full of delicious restaurants, but do you know what the typical cuisine was from the Edo period in Japan?It is nigiri sushi, tempura, eel, and soba. 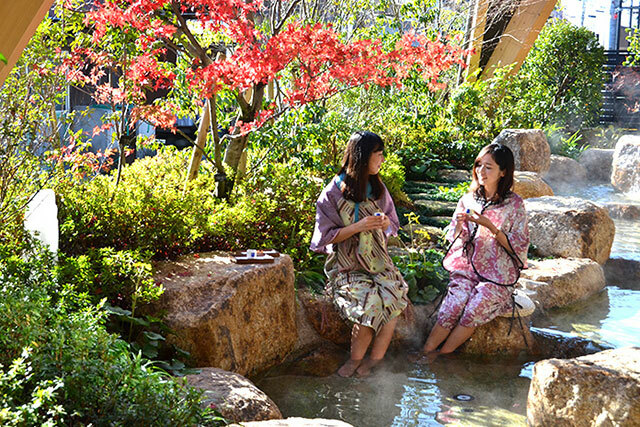 This place is popular among foreigners because they can not only taste cuisine from the Edo period but also enjoy a taste of Japan in the kimono that the staff wear. 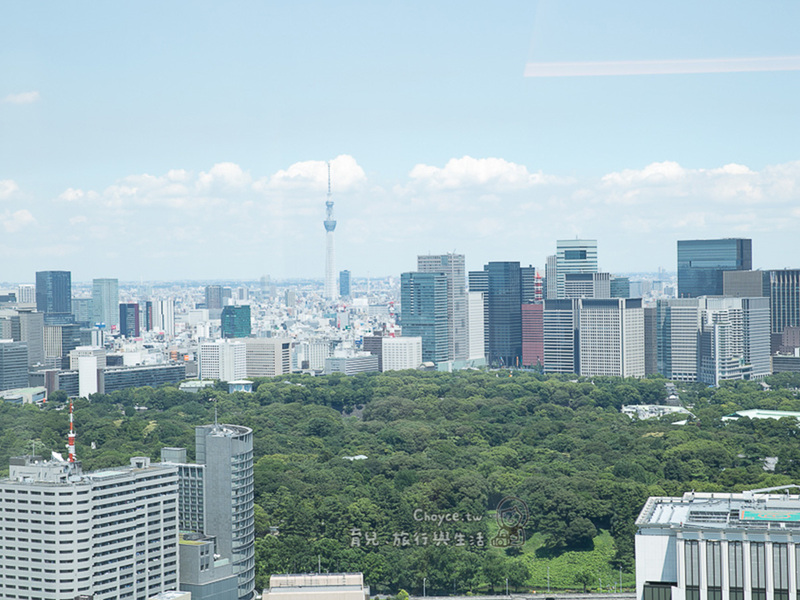 Here, you can enjoy panoramic views of Tokyo for free. 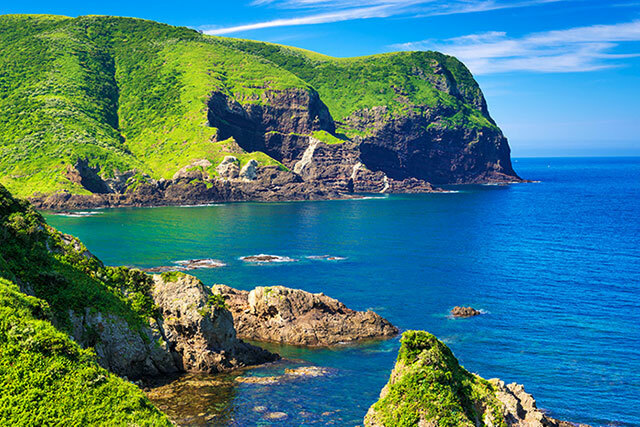 You can take in the wonderful views, plus buy rare souvenirs and grab a bite to eat. After enjoying the view, it's off to the national tourism PR corner on the second floor. 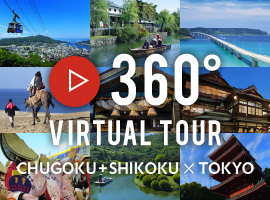 It will make you want to travel to other destinations in Japan. It is a cozy restaurant with warm hospitality. 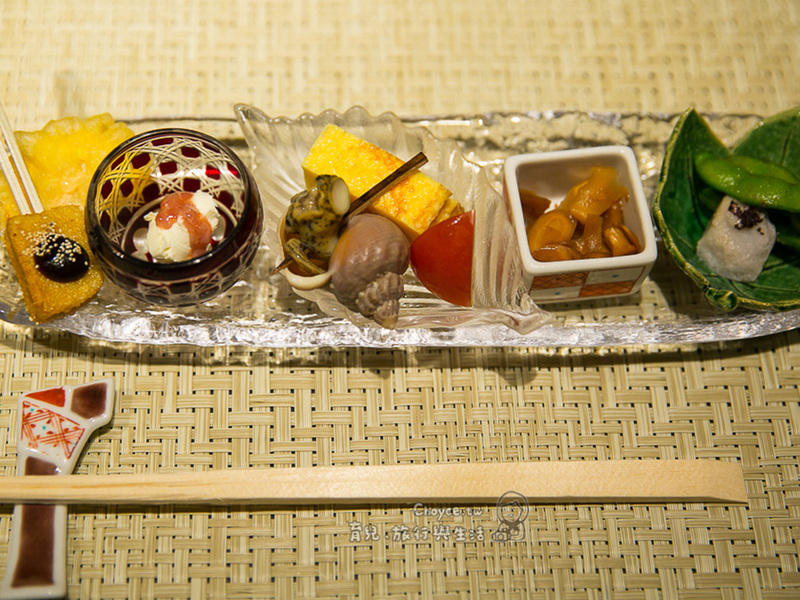 Here, you can enjoy exquisite Japanese cuisine. The tableware is also very fancy. 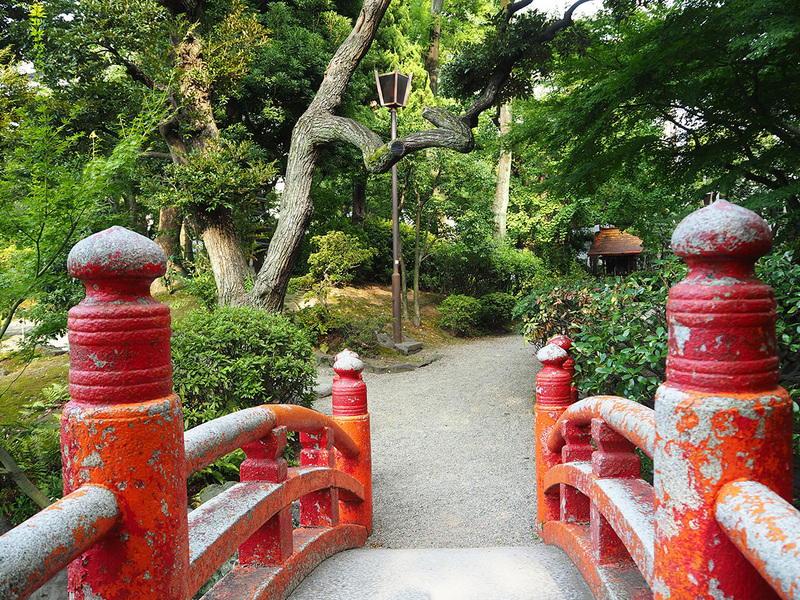 It was hot, so walking was miserable, but I forgot all about that once I arrived at Kyu Yasuda Garden. 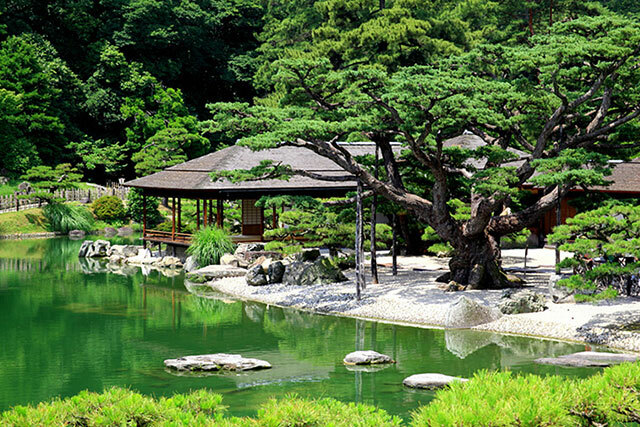 Inside the greenery of the Japanese garden, I am calm and at peace. 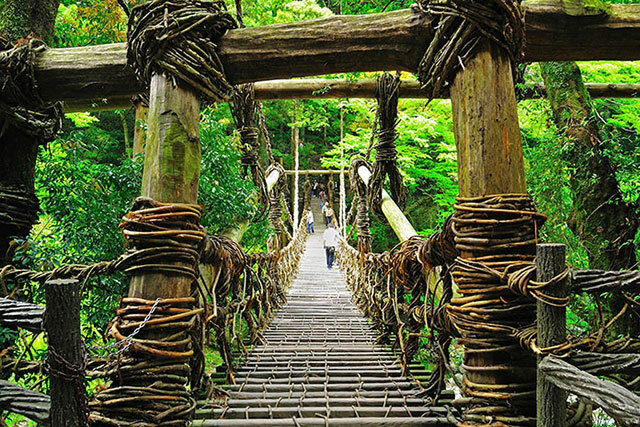 It is hard to believe that such a place exists in Tokyo. 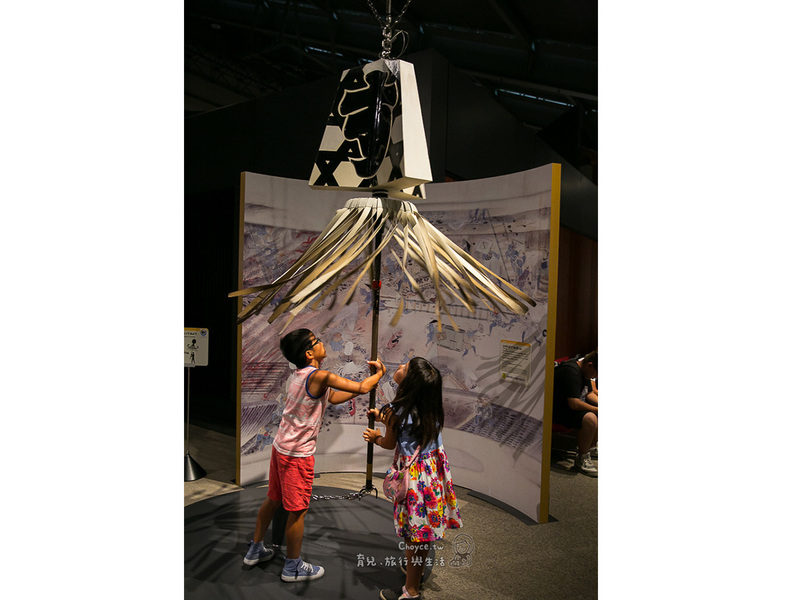 The Edo-Tokyo Museum is filled with the ambience of Edo and makes for a completely different experience compared to other trips. It was as if I traveled back in time to experience the past from 1603 to 1867. 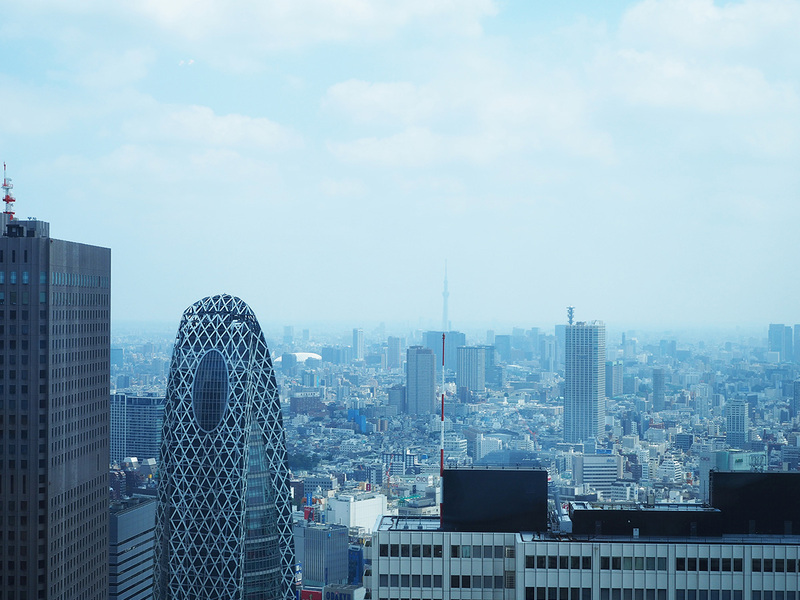 Ever since Tokugawa Ieyasu established the shogunate in Edo (now Tokyo), Tokyo has been the capital of Japan and the center of politics and the economy. As you take the long escalator ride, you travel back into the past. 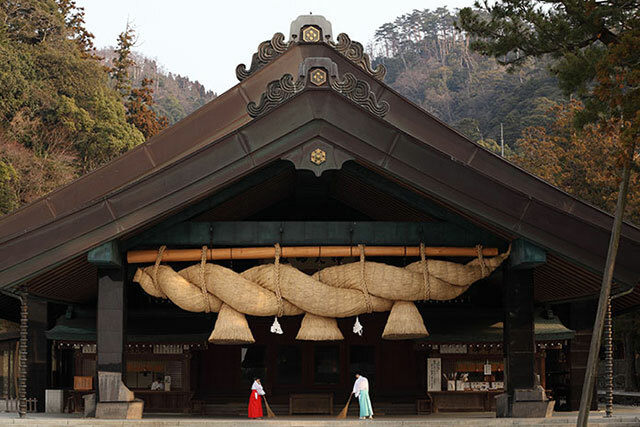 The pole that the children wave round is a tool used by firefighters in the Edo period. 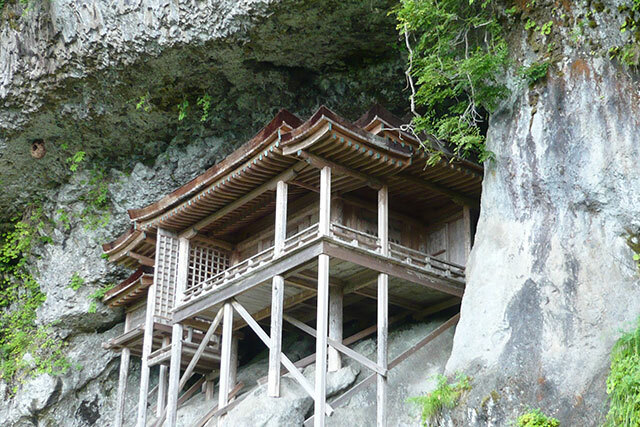 Many houses were made of wood in the Edo period, and the pole served as a warning system that firemen would wave to inform that a fire had broken out. It was something that could be understood from afar without one having to shout. But, how did they put out fires at that time?If you've seen a Japanese TV drama, then you might know, but they stopped fires from spreading by tearing down the homes around the building on fire.A little carelessness can end up getting the entire neighborhood involved. 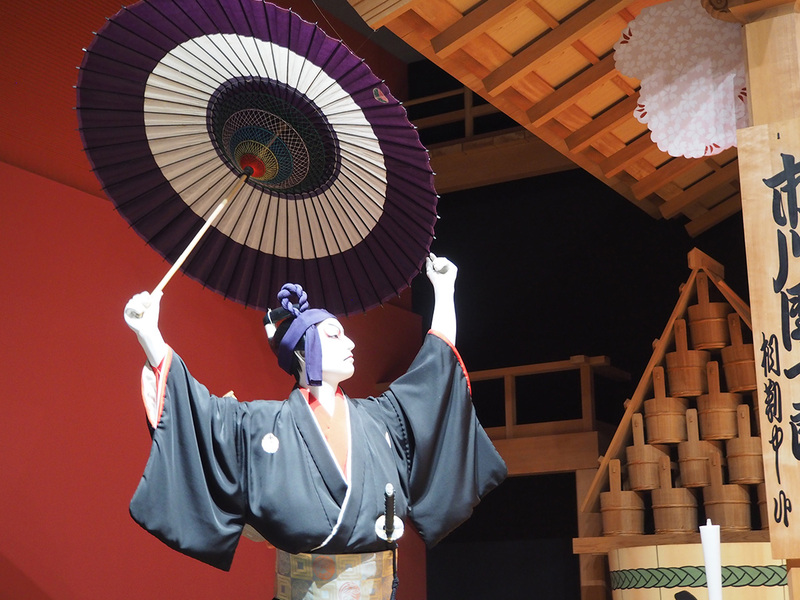 There are various unscheduled events in the museum and you can enjoy them even if you cannot speak Japanese. When I visited, I saw an acrobatics event which was very entertaining. 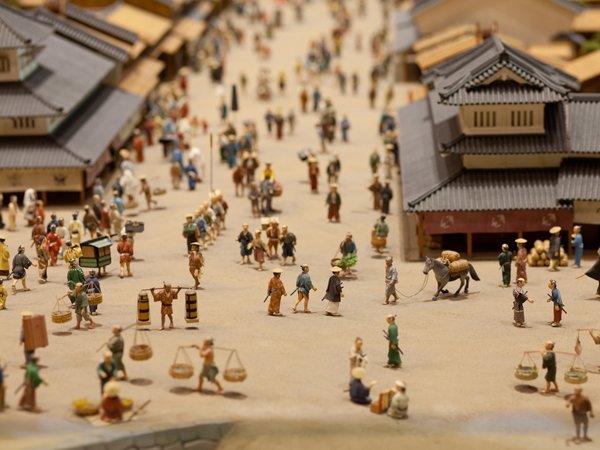 The facilities are much larger than I imagined and there are exhibits of the streets and building at the time and models in which you can see the flow of Japanese culture and history from Edo to modern Tokyo. 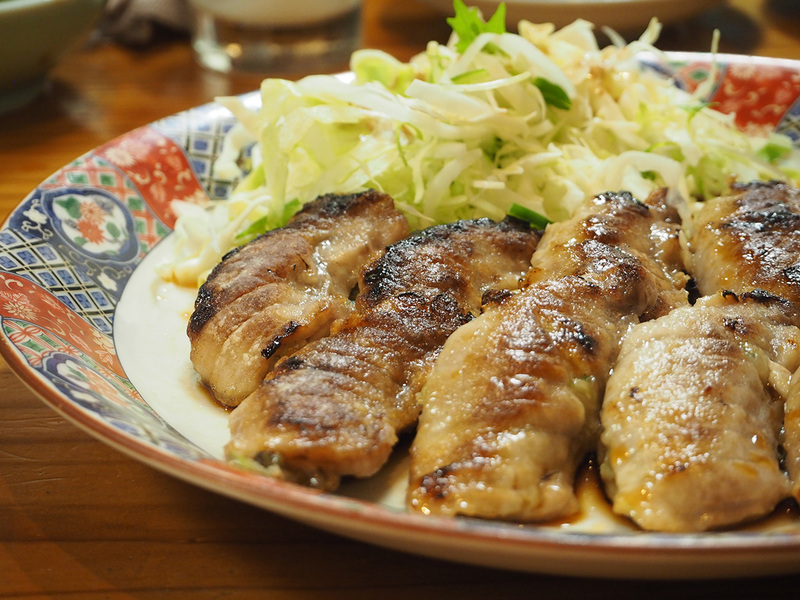 Although there are many types of typical everyday cooking in Japan, when it comes to teppan cuisine, then Hiroshima-yaki, Osaka-yaki, and Tokyo monja-yaki are some options. Cooking on a red-hot teppan griddle means immediately making friends with someone new, which makes for a comfortable setting. Tsukishima is located between Ginza and Tsukiji, but maintains a relaxed and rustic atmosphere despite being in downtown Tokyo. It feels as if time has stood still as you leisurely walk the rows of old shops. The quick gaits of people who have hurriedly made their way here change into saunters as they arrive. 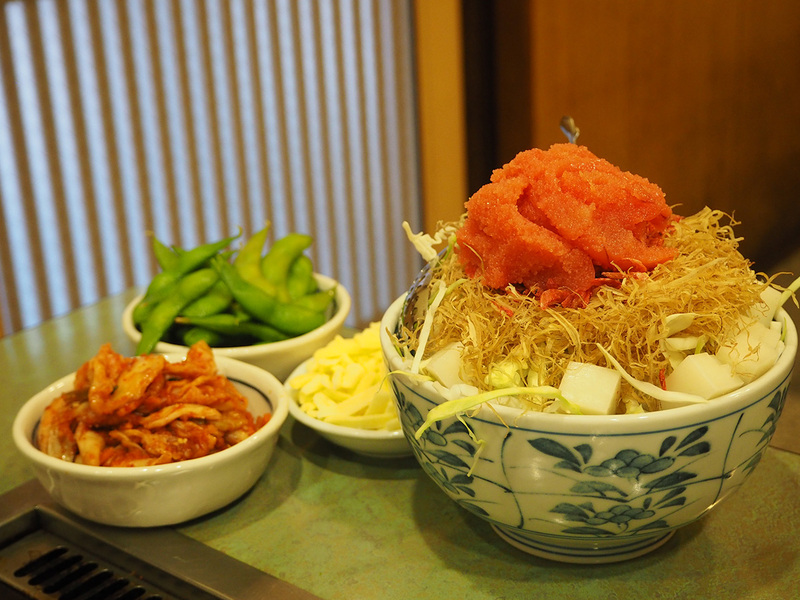 Komachi is the most popular monja-yaki restaurant among the locals. The best way to eat it is to slightly burn the bottom!You use a small iron spatula to eat it. 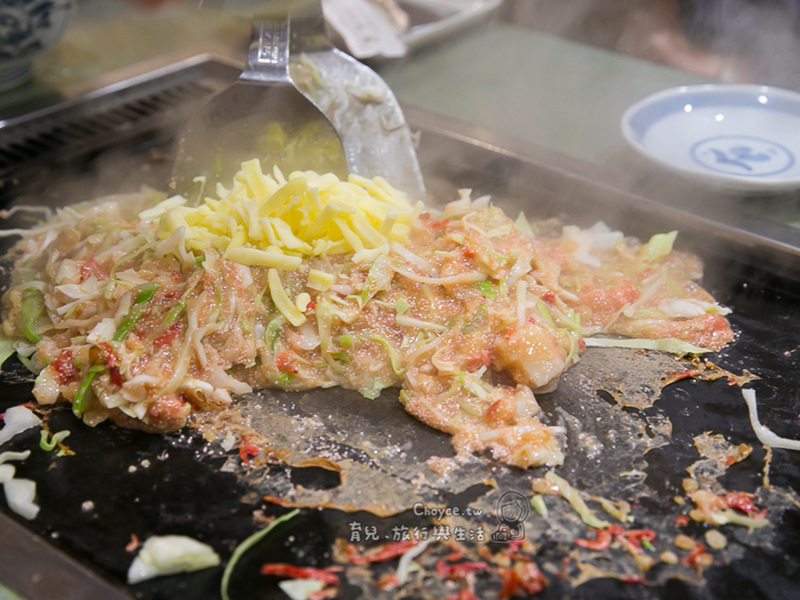 Bringing a bite to your mouth while blowing on it to cool it off is the real pleasure of enjoying monja-yaki in Tokyo's Tsukishima! 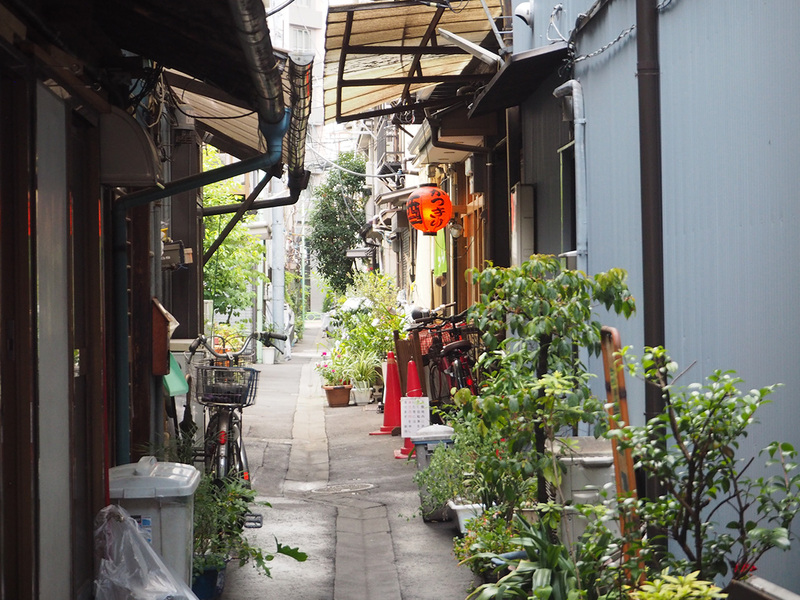 When you walk down the friendly streets of Shitamachi you will notice that there is a completely different Tokyo from the modern image that everyone has. 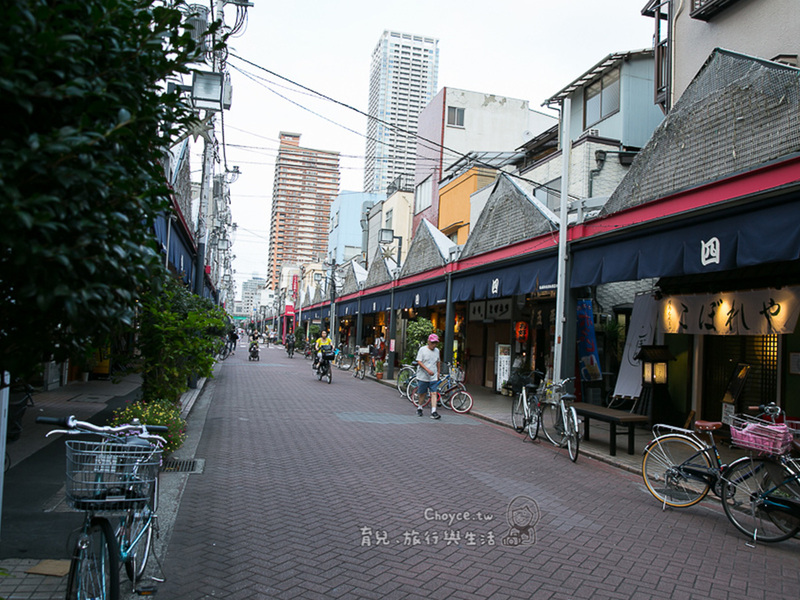 The small shops and general stores that line the streets and alleys are all very attractive. We ordered popular and recommended menu items here. The staff will help you cook your monja-yaki. 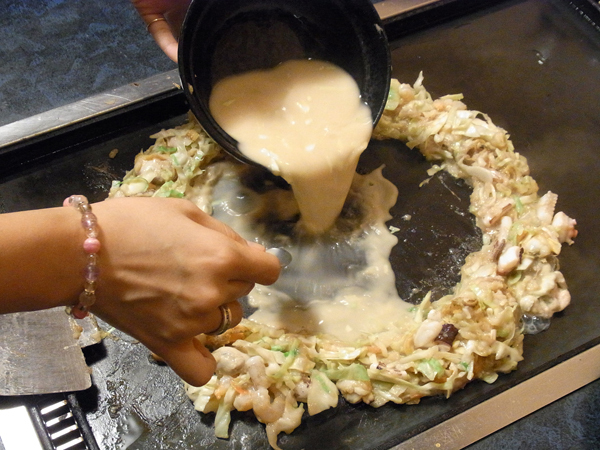 It’s like watching a show and a fun experience if you’re having monja-yaki for the first time. 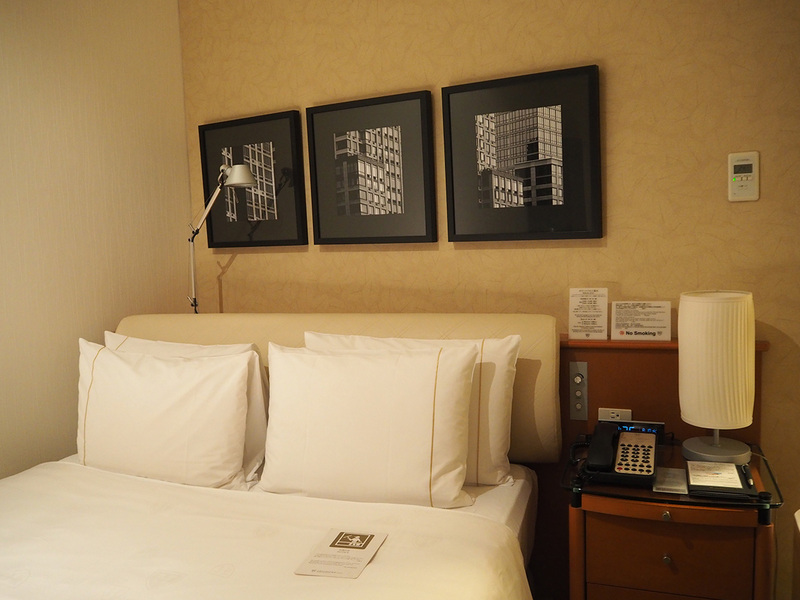 This Tokyo hotel is the closest one from Haneda Airport. 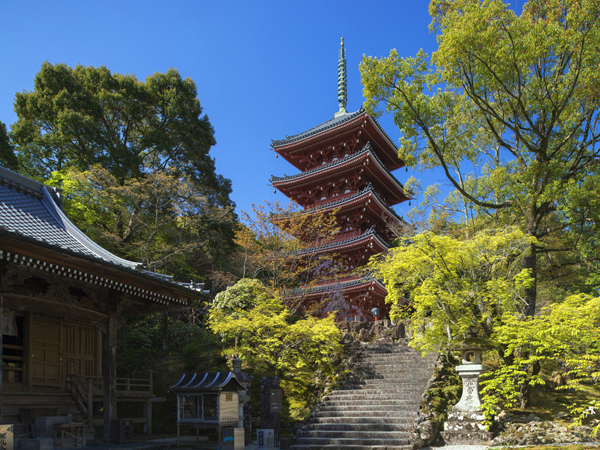 Located right next to the Yamanote Line, the Keihin Tohoku Line, the Oedo Line, and the Ginza Line, it is great for going places. 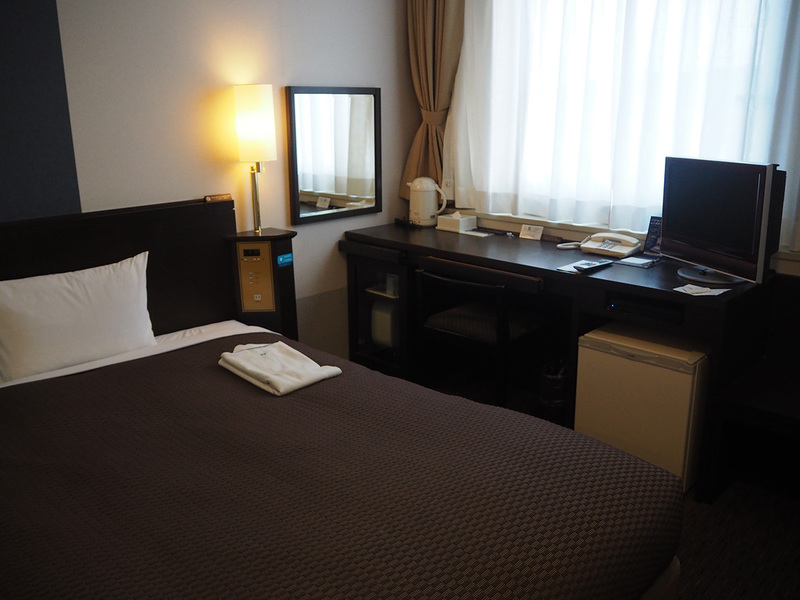 The Royal Park Hotel The Shiodome has high quality attention and service that goes far beyond a business hotel, and the transport options are excellent. If you choose to stay here and go to bed early, you're wasting your time. Be sure to enjoy the beautiful night view. 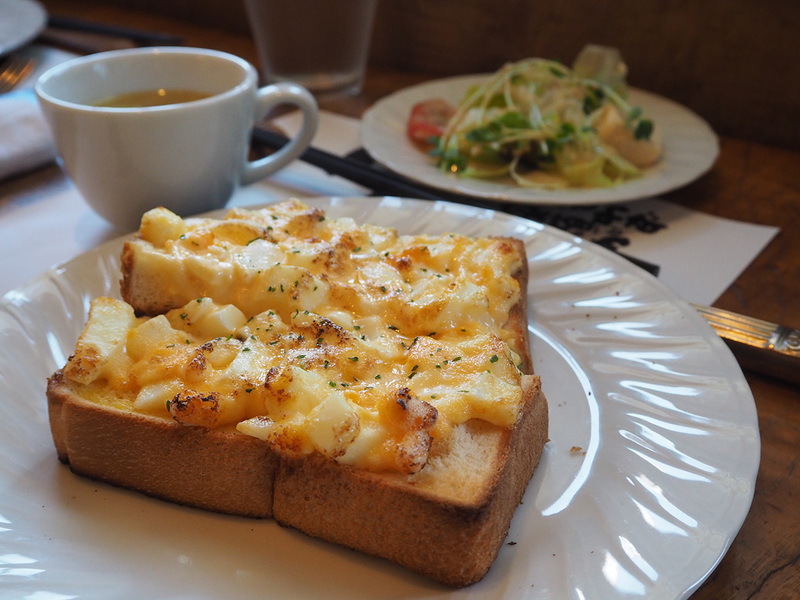 And in the morning, enjoy what the morning brings-- breakfast overlooking Tokyo! 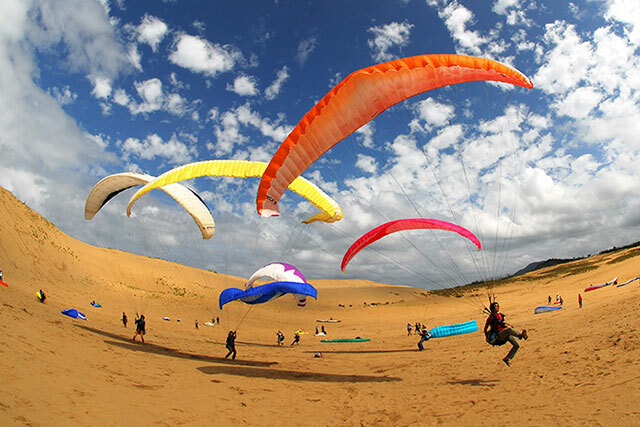 The location is excellent and it has all the amenities you need. 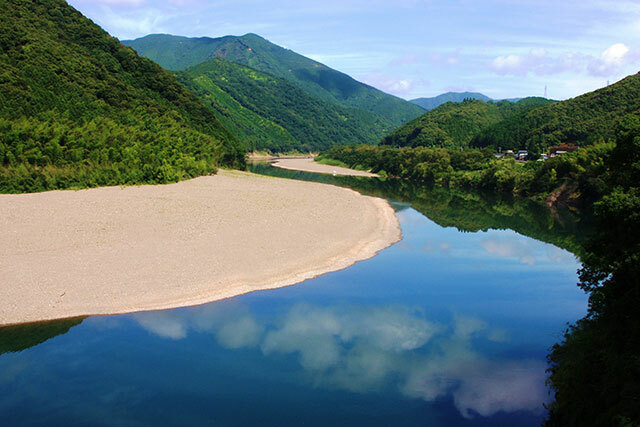 Traveling in Japan is very convenient and the prices are cheap! I rely on the Internet and quickly discovered JAL's in-flight Wi-Fi. Using a PC and mobile phone, the display said I could connect via an app, and with a few tweaks, I was online in no time flat. The first 15 minutes are free, with charges for each additional minute. The service is wonderful and the seating is comfortable. 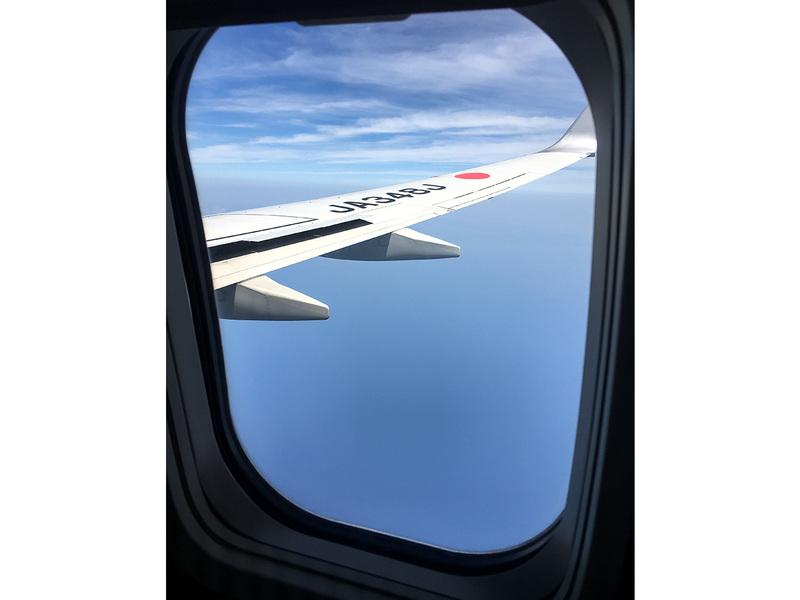 The 15 minutes of free in-flight Wi-Fi on JAL's domestic routes is great, and is something that no other airline offers! In addition to shops selling over 600 types of Kochi souvenirs, special goods featuring local character mascots, jeweled coral, and other traditional crafts from Kochi are available. Each maker sells limited products that are only available for purchasing here. Popular souvenirs are "imo-kenpi," a sweet potato snack, and the recently popular "shio-kenpi," a salty variation. Be sure to buy some for yourself! 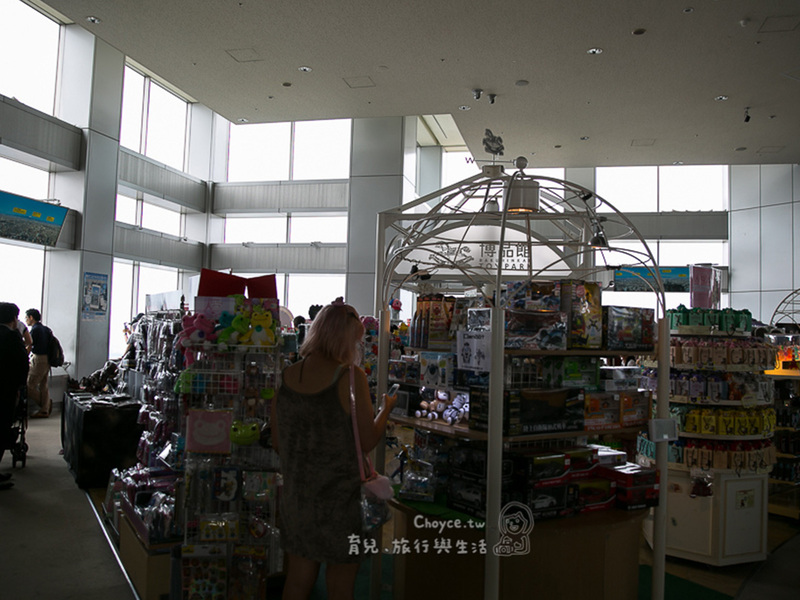 There are also many other souvenirs available that have been showcased on TV! 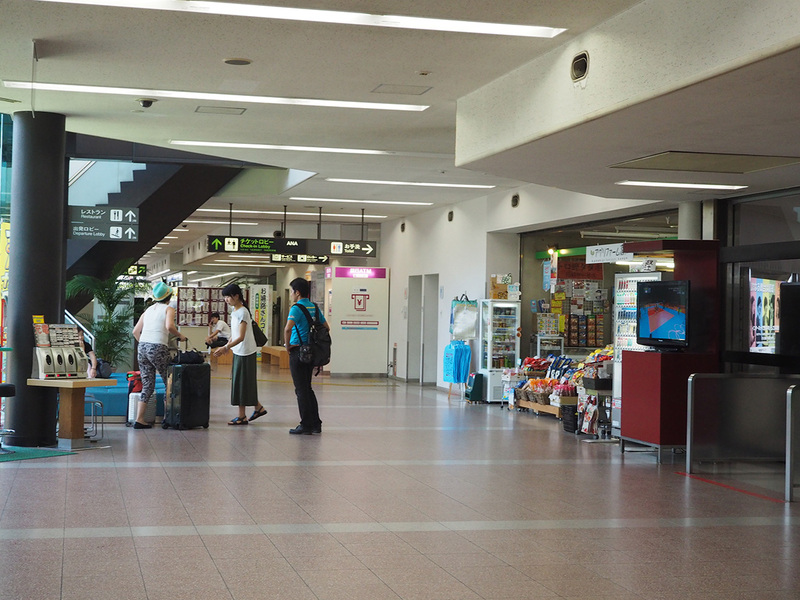 Wi-Fi service is available inside the airport, and the 1st floor tourist information center can provide information in English and have English, traditional Chinese, simplified Chinese, Korean, and Thai-language tourist pamphlets available. There is a counter where you can buy bus tickets upon leaving the airport. 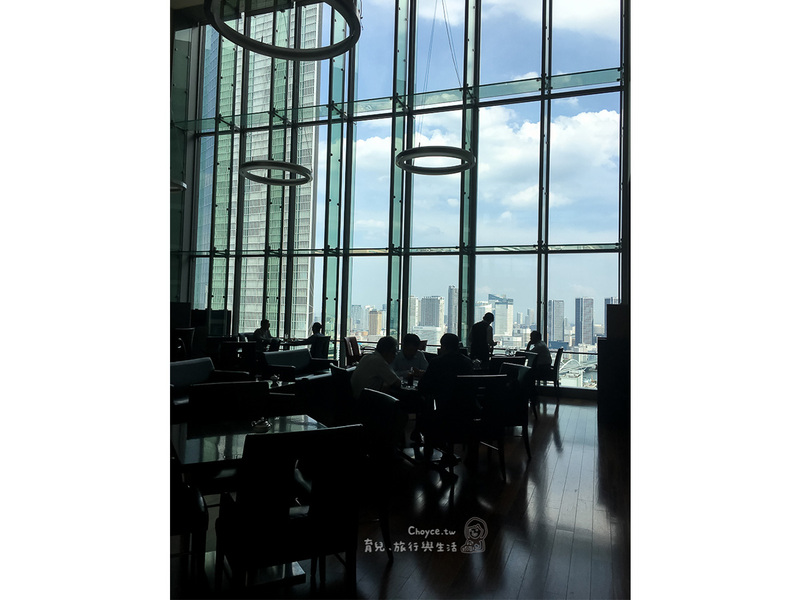 The staff are very kind and the seats are comfortable. 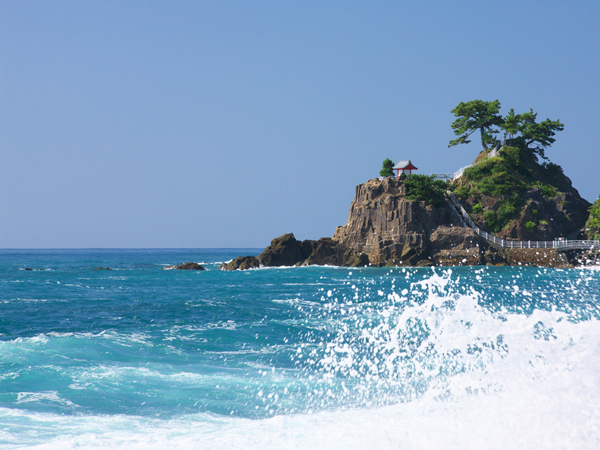 You can enjoy the scenery of Kochi during your trip. 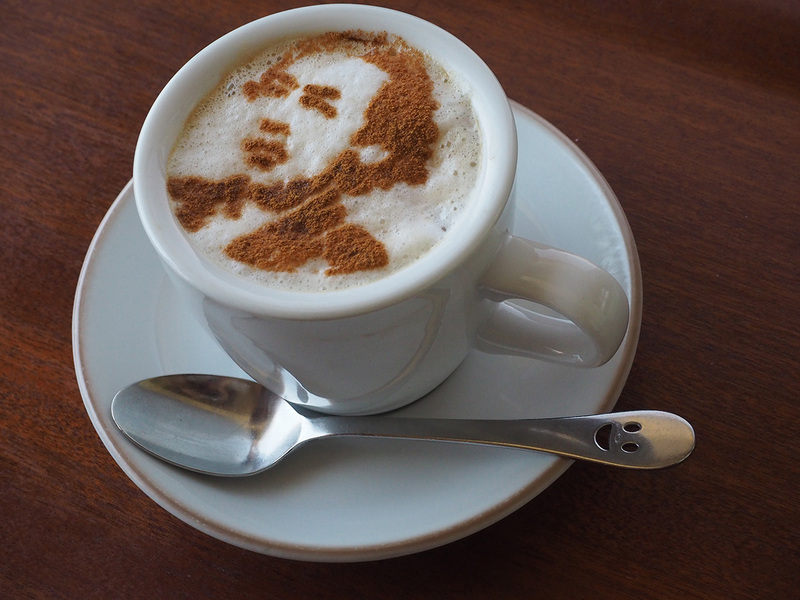 Like the meal, I was pleased with the warmth of the staff. 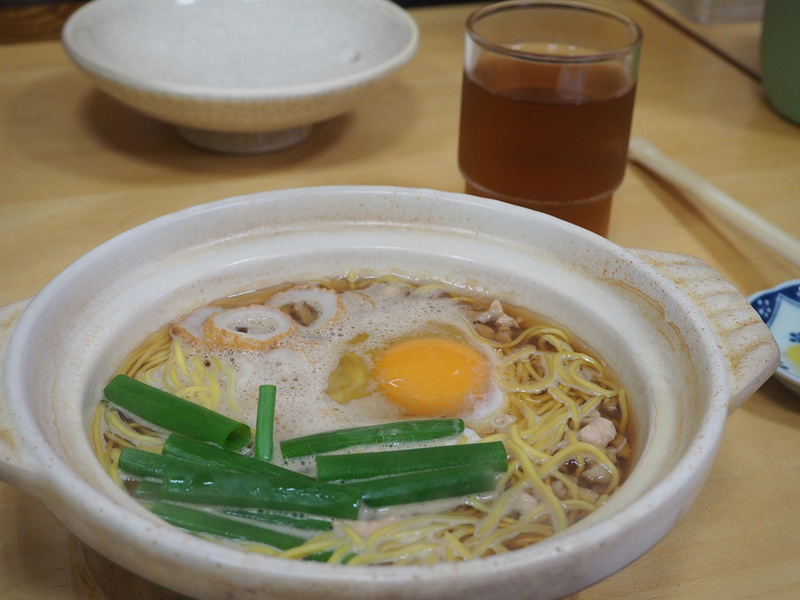 Although it was a very hot day, the hot ramen was delicious. 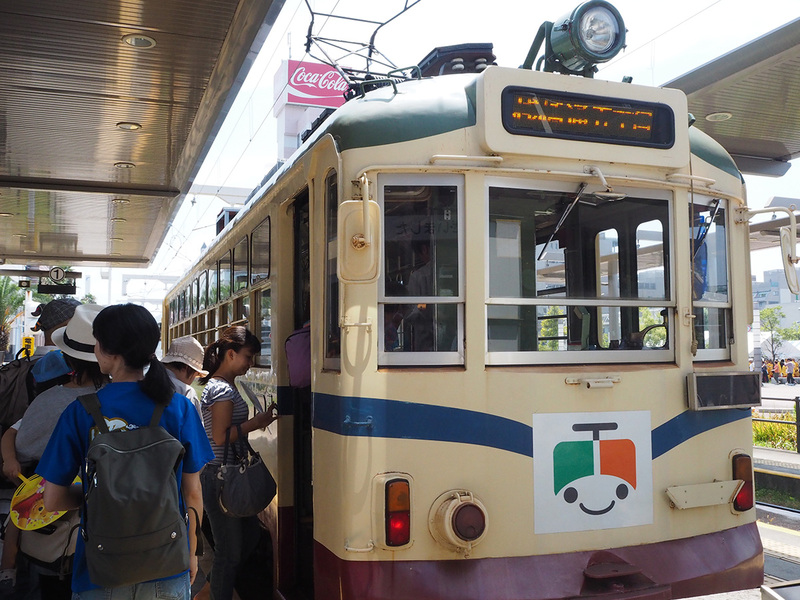 Riding the tram was a lot of fun. 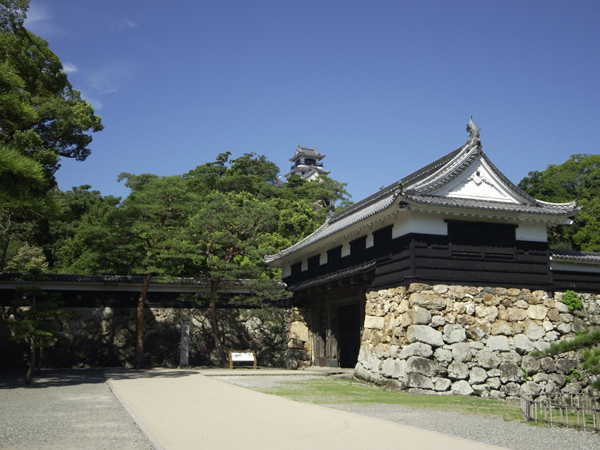 A traditional flatland-mountain castle of Japan. 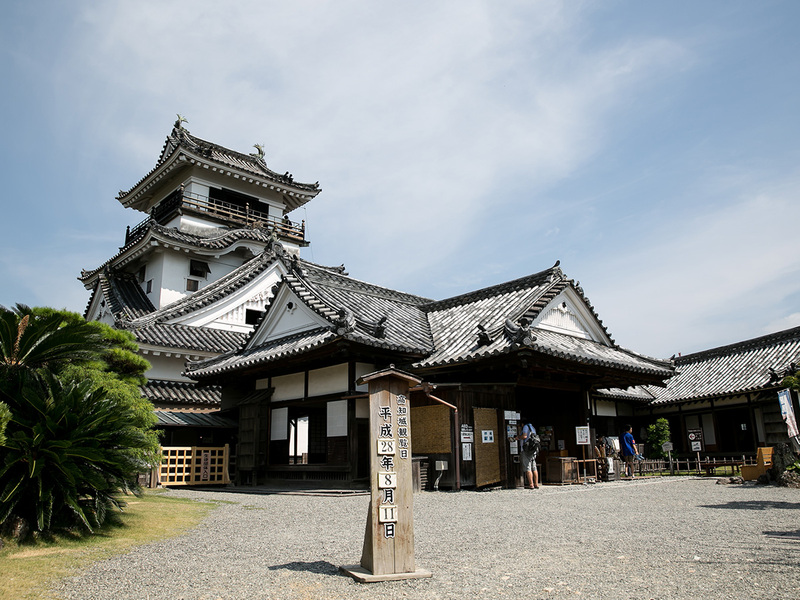 Even as castles across Japan are being renovated due to fires and earthquakes, Kochi Castle has overcome repeated crises and is one of few remaining wooden-structure castles in Japan in its original state. 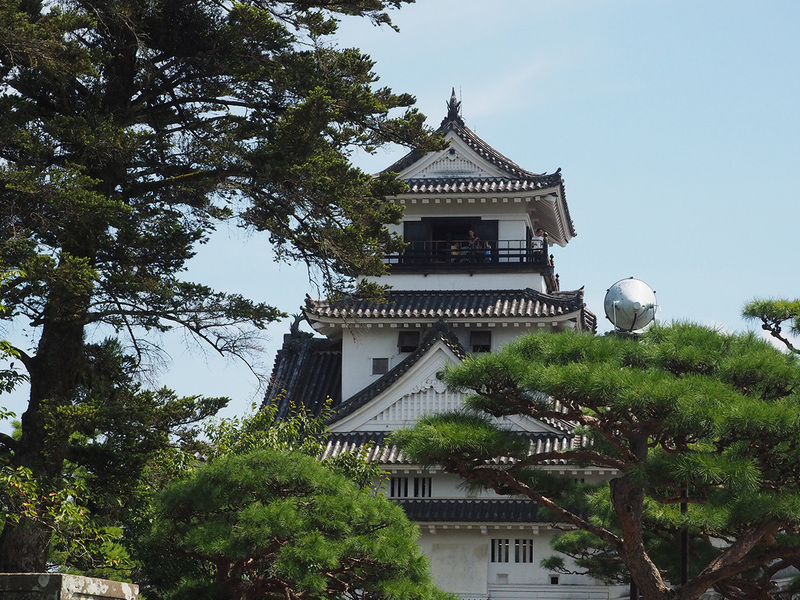 The spot where the Otemon (castle gate) and the castle tower can be viewed together in the same frame provides a rare photo opportunity. 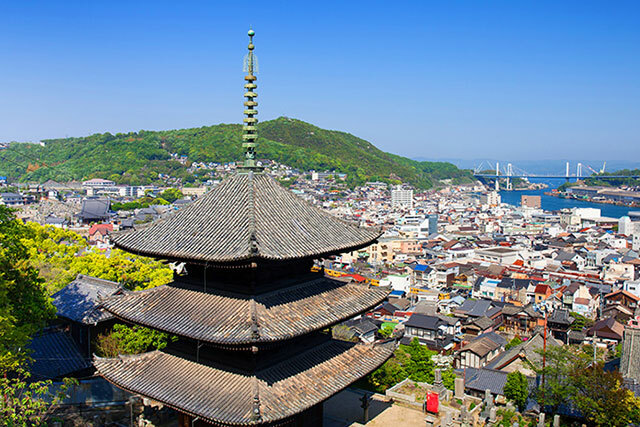 There is a separate fee for entering the Kochi Castle tower, but Kochi Park, where the castle tower is located, is open to the public and has a gorgeous view as it is located on a hill. When you take off your shoes and enter the castle, you will be given a cold towel that helps beat the heat. 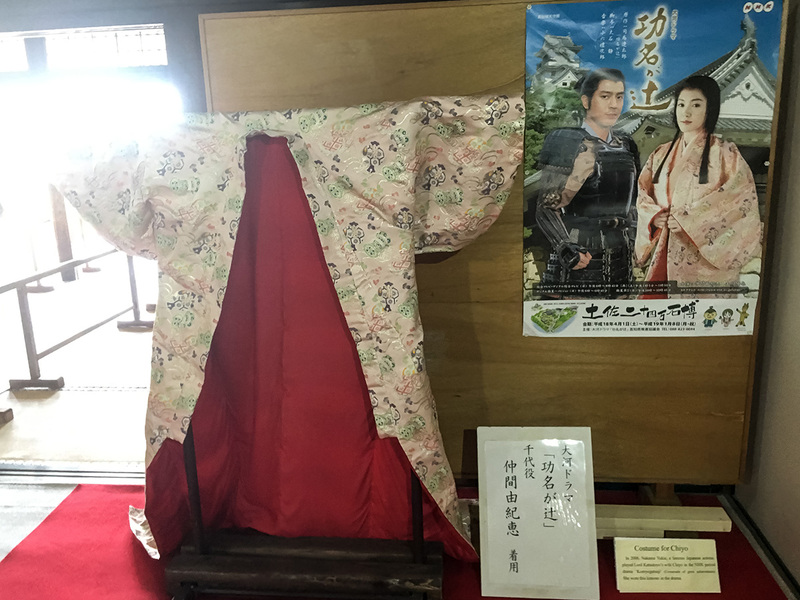 It's too bad that other castles didn't offer this kind of service.Drama fans can't get enough of the castle tower as it has an exhibit of beautiful kimonos worn by actress Nakama Yukie in a TV drama. 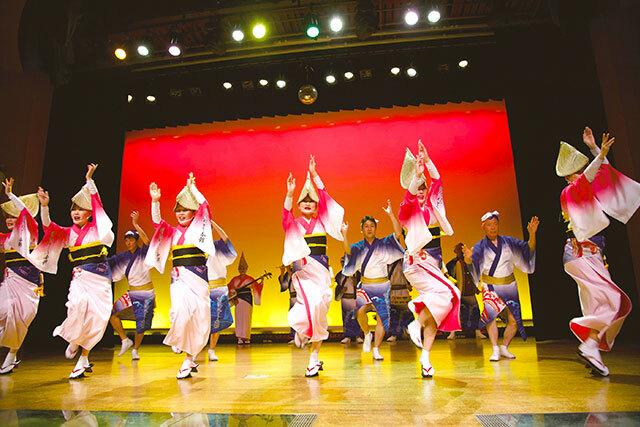 Did you know that the Yosakoi Festival originated in Shikoku, has spread across Japan from Hokkaido to Kyushu, and has a history of 63 years (as of 2016)? 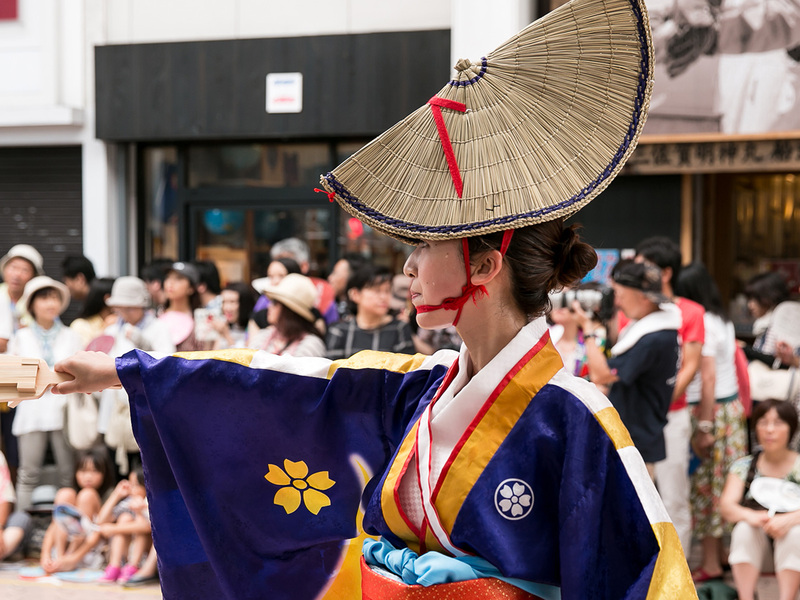 The Kochi Yosakoi Festival has spread nationwide in the blink of an eye, and can be found in Sapporo in Hokkaido, and Harajuku and Omotesando in Tokyo. 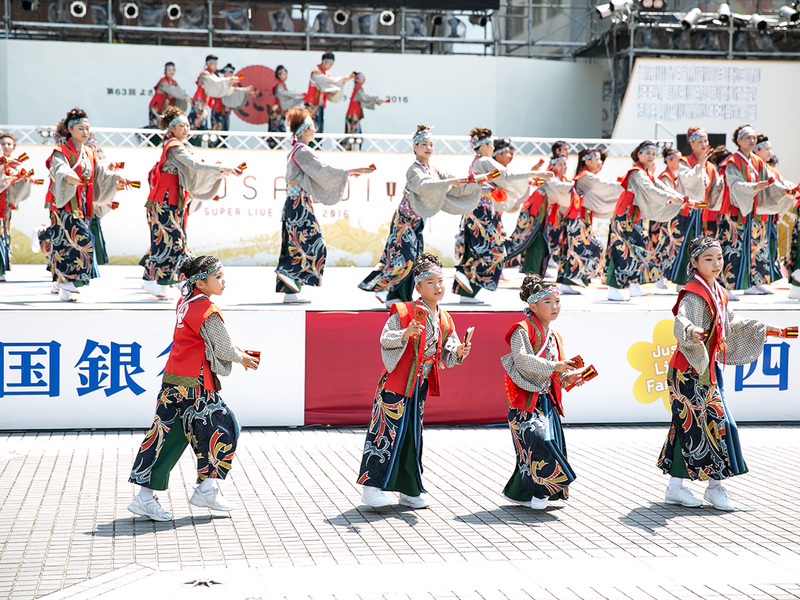 But Kochi is the birthplace of Yosakoi Festival, so the fierce team competition here is an impressive sight. It was a very hot day, and I was sweaty and out of breath by the time I arrived at the castle tower, but the castle staff were handing out cold towels that felt like a "reward" for climbing to the top. This heartful service left an impression on me. 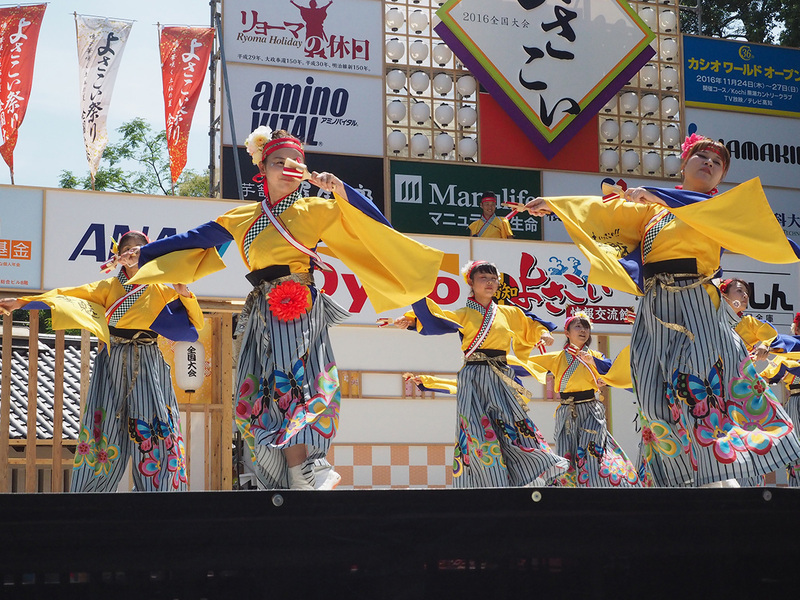 The streets are full of festival energy, and the seriousness of the dancers is conveyed through their costumes, makeup, and expressions. Each team has its own character, and even if you are standing under the scorching sun, you can’t help but stop and watch. Hirome Market is the most popular sightseeing market in Kochi, and sells seafood products, and fresh vegetables and fruits. 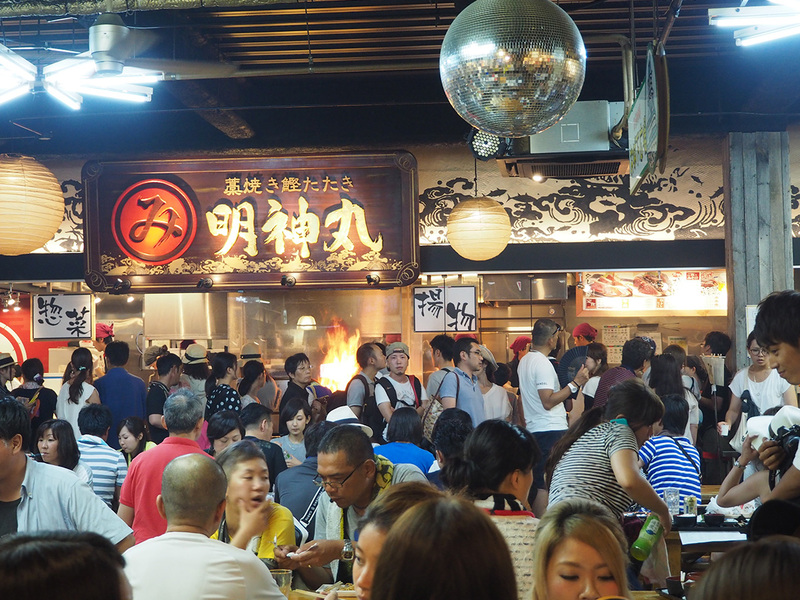 The market is crowded as many tourists who come to the Yosakoi Festival also visit here. It is difficult to sit down and enjoy katsuo tataki with the crowds of people from Kochi City. 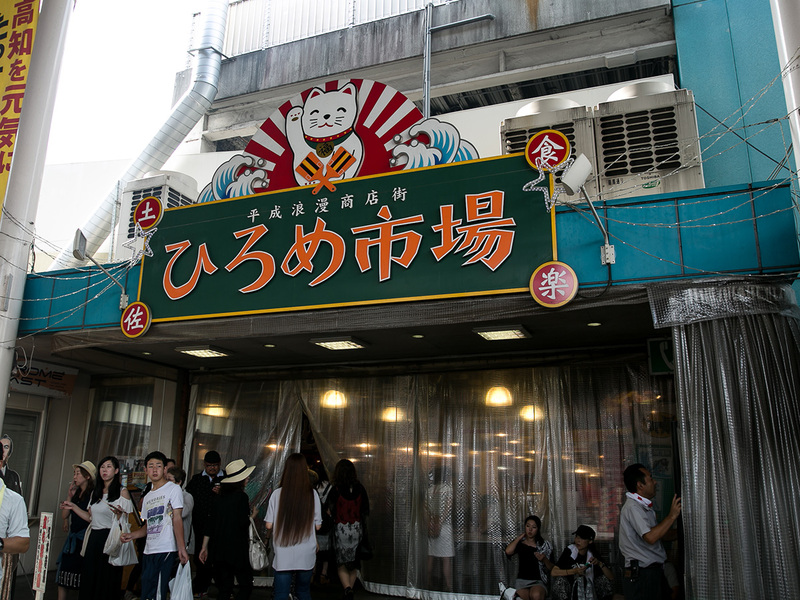 There are a lot of shops at Heisei Roman Shotengai Hirome Market were you can get katsuo tataki, but Myojin Maru is famous! 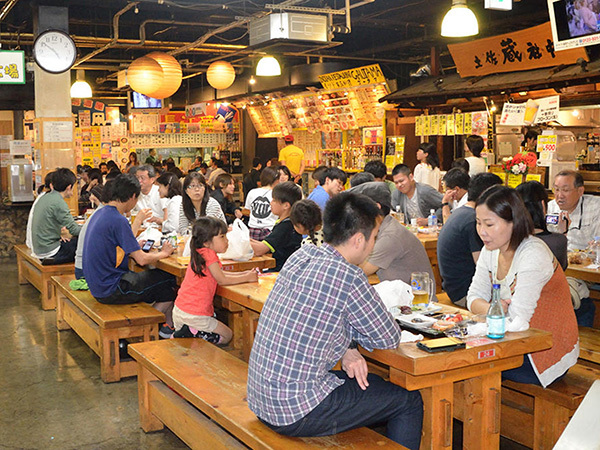 It's a little different from a typical market and is also a dinning hall, so you can enjoy shopping and delicious food and beer at the same time. Everything on the menu is delicious! 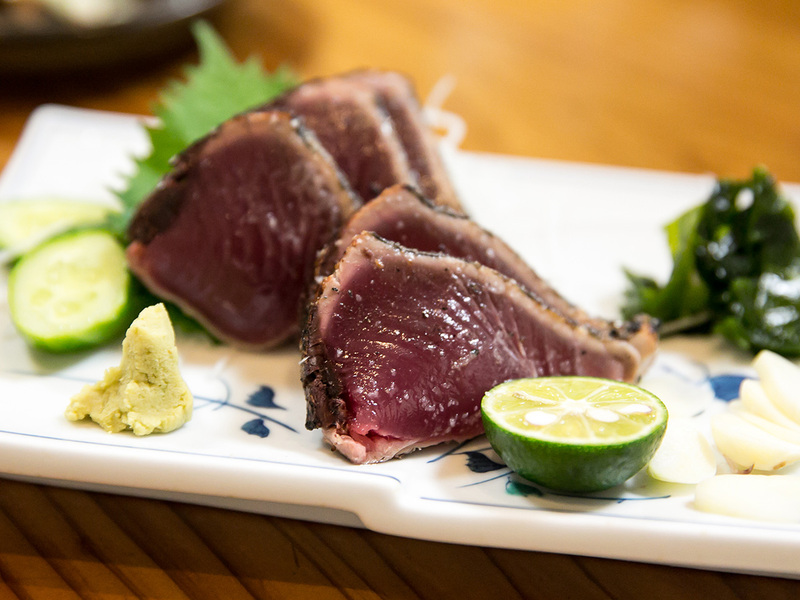 In particular, the katsuo tataki is not to be missed. Rubbing shoulders with the locals and sharing in the deliciousness makes for good memories. My favorite is the maguro gyoza, which I had for the first time. The wrapper is made from crispy-fried fish skin, and makes me curious as to how they make it. 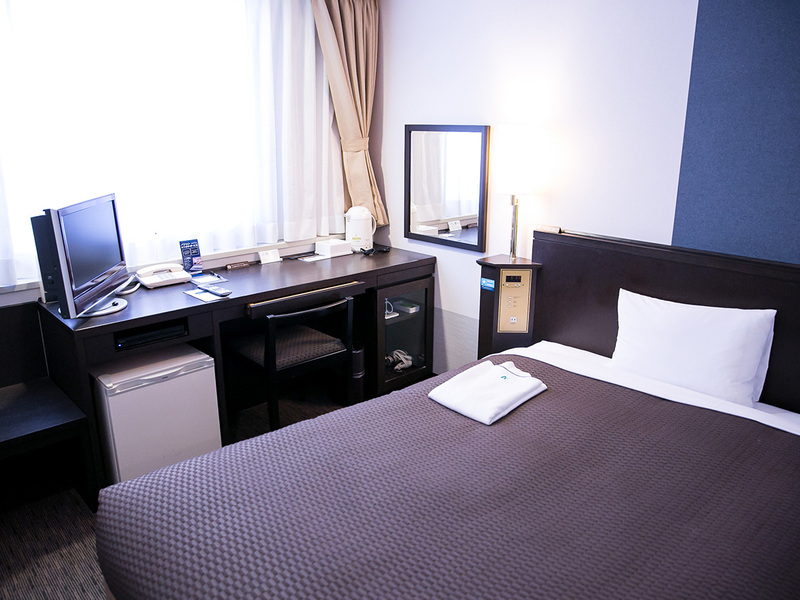 Nishitetsu Inn is a business hotel chain that can be found across Japan.After checking in, you pick up your own amenities. There are also hair bands and cotton swabs (but it’s best to be eco-friendly and bring your own). 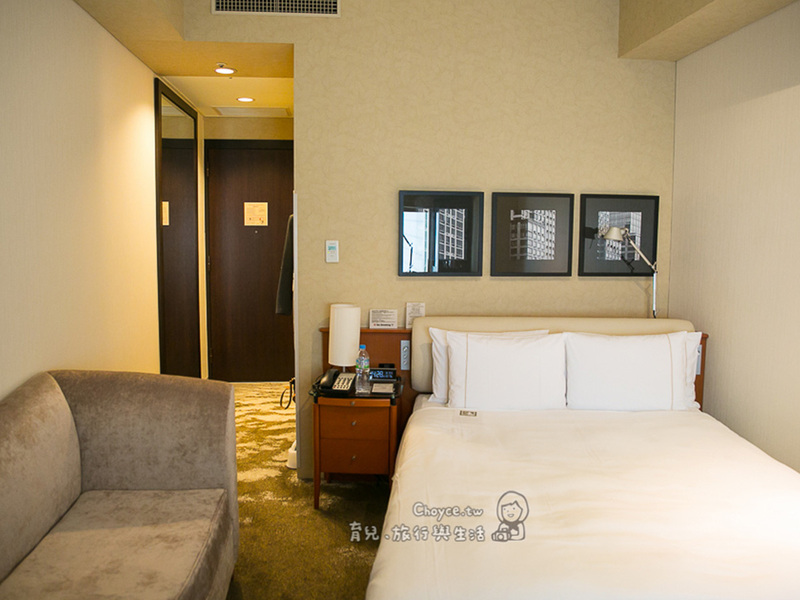 Upon entering your room, you can relax in a very comfortable space even though it is a single room. I slept soundly here. The hotel location is excellent and is good for travelers as you can buy bus tickets in the lobby. 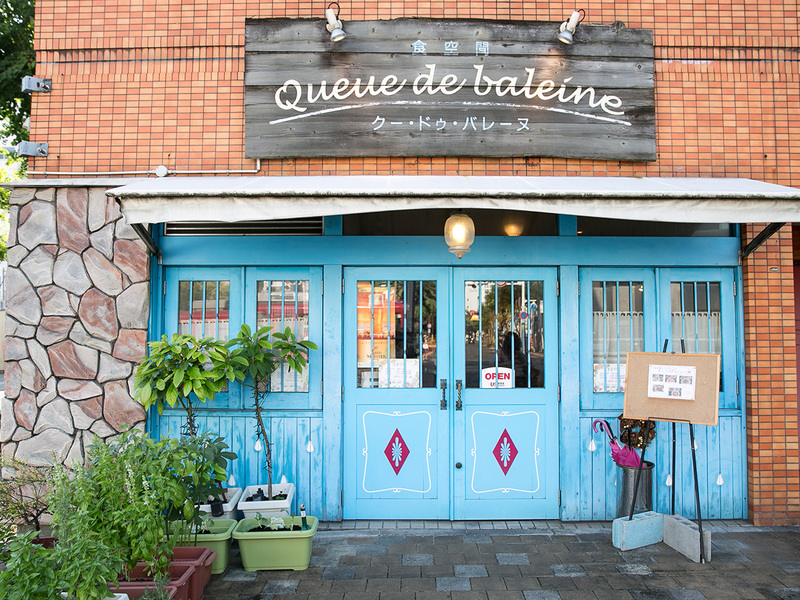 While traveling in Kochi, I woke up extra early and went out to a shop that that the locals frequent as the simple breakfast at the hotel wasn’t enough.That shop is “Shoku Kuukan Queue de Baleine” in the heart of the city, but its modest size sets it apart from other buildings. The blue door is impressive, and as you pass through it, the cute ball of charm inside stops you in your tracks. You can spend time kicking back to relaxing music and reading magazines. The food was cheap and everything on the menu was delicious. I recommend the ginger juice made with locally-grown ginger. a half-price discount for themselves. 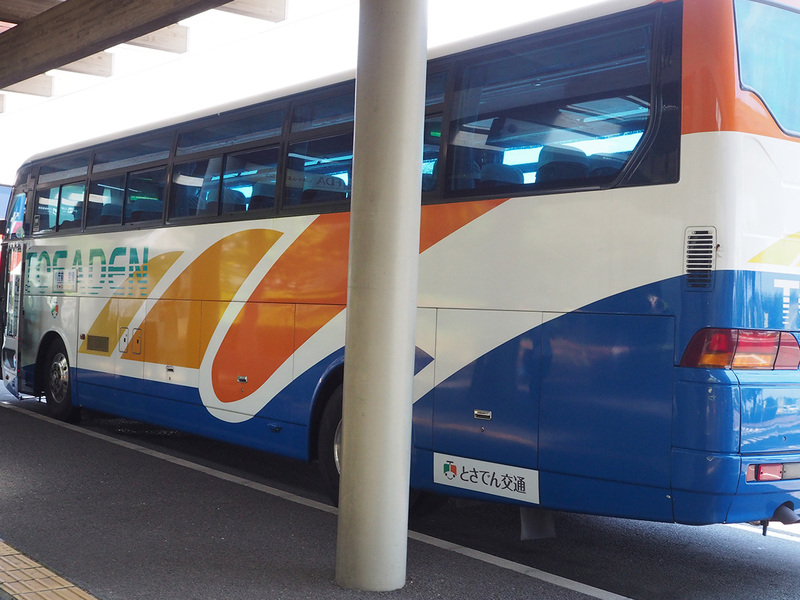 But doing that would be difficult, so I recommend buying one ticket for the My-Yu Bus that will take you to all the sights in Kochi. 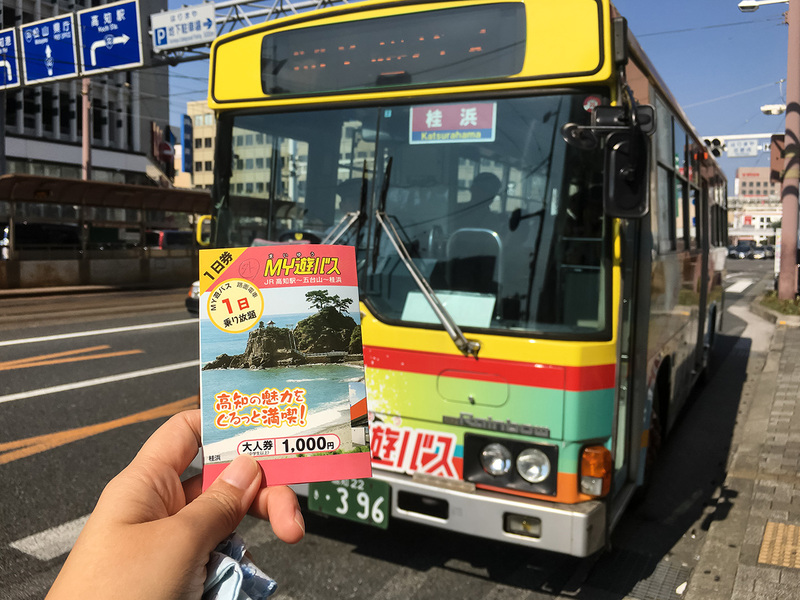 The All-day unlimited bus pass, takes to sights around Kochi and is half price (500 yen) for foreigners who show their passports. Foreigners who show their passports receive half-off their tickets. The tickets are a bargain because they include discount coupons for designated shops and restaurants. 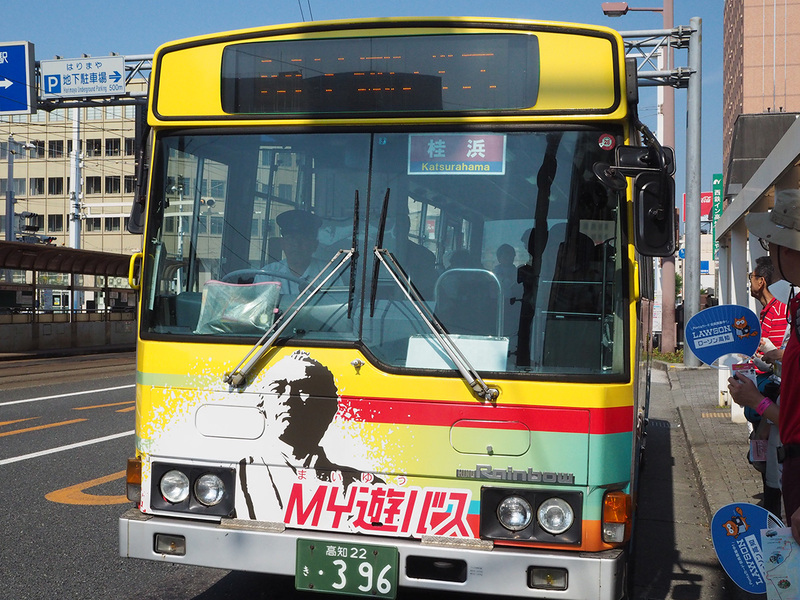 * See below for more information about MY-Yu Bus. 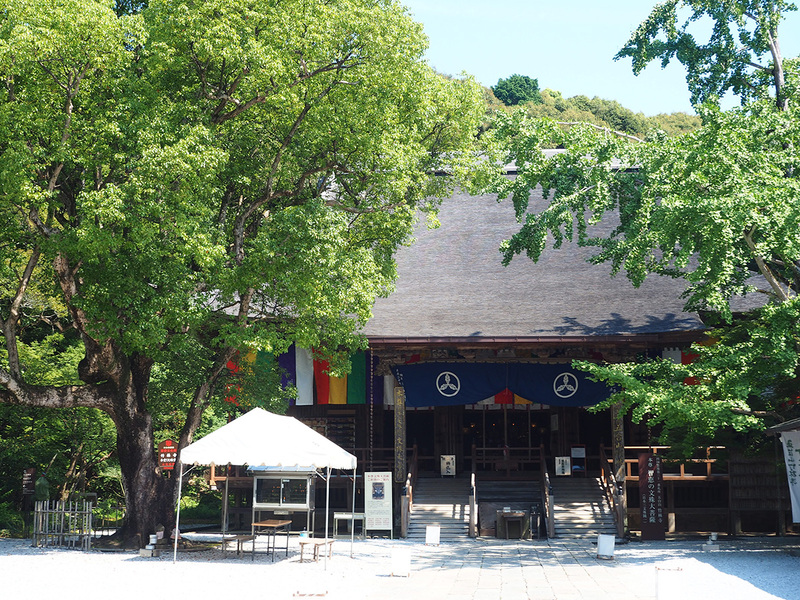 I took a My-Yu Bus early in the morning and went to Godaisan Chikurin-ji Temple, the 31st temple of the Shikoku Pilgrimage. 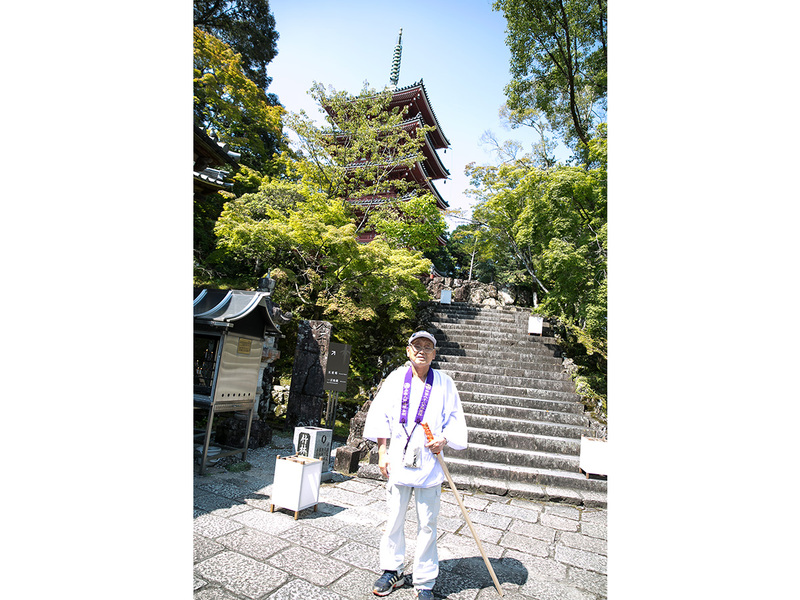 At the temple, the chief priest gave a three-hour tour but it was still not enough. 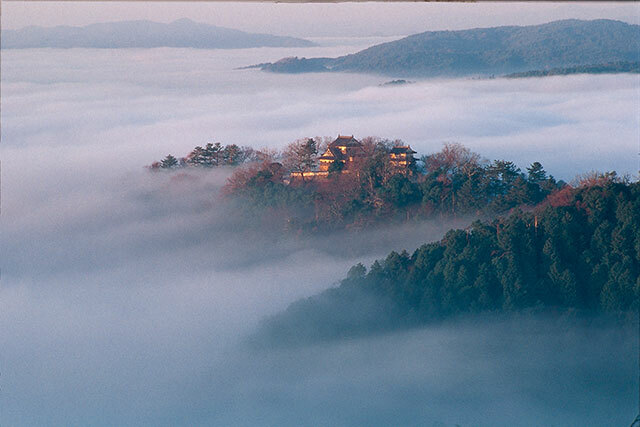 It is said that Emperor Shomu had a dream about a mountain that resembled Godaisan in China and built a temple here in the image of Monju Bosatsu. Pilgrims on the Shikoku Pilgrimage carry stamp books with them. 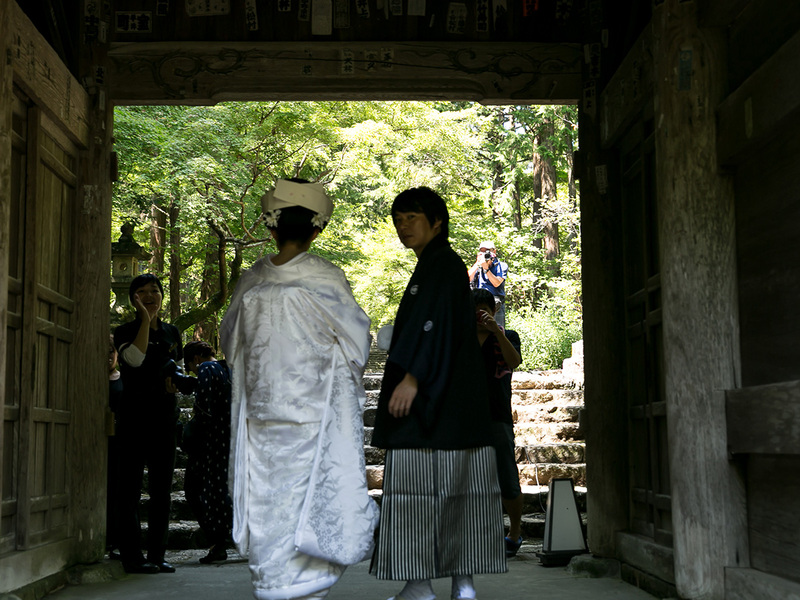 Unlike ordinary stamp books, these are for the Shikoku Pilgrimage and are especially luxurious and beautiful.While I was at the temple, I managed to catch a new bride and groom taking commemorative photos. 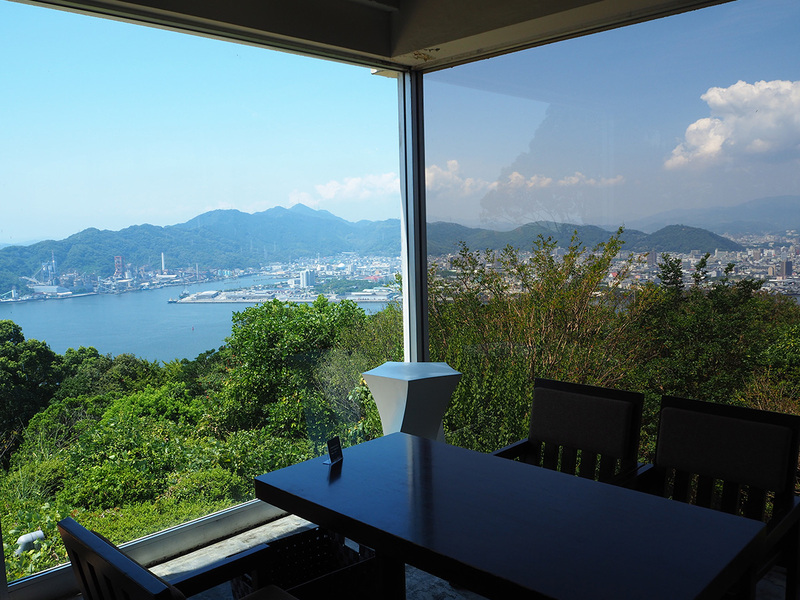 I will let you in on a secret as to where the best view of Kochi is. 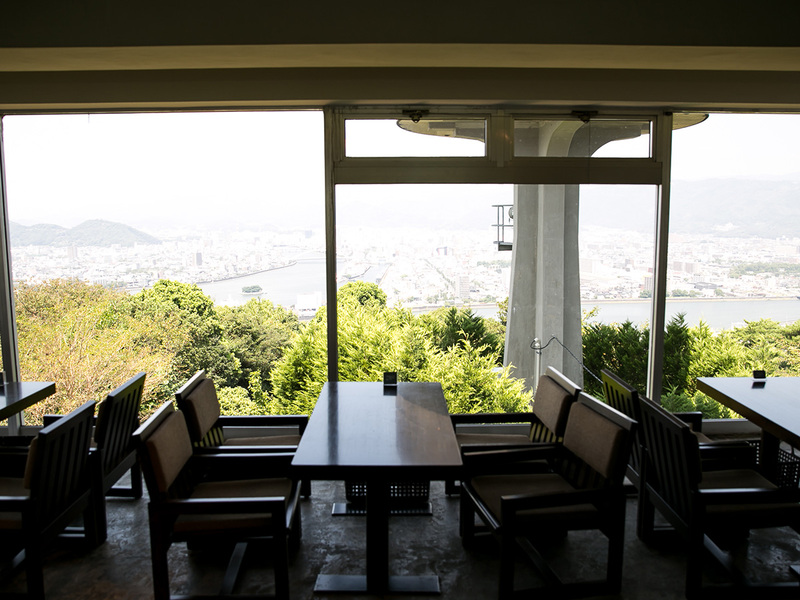 It is Café Pa No Ra ma at the top of Godaisan.It is open until 5 pm on weekdays and 9 pm on weekends, but the observation deck is open all day and will open up if you climb to the top. It is said that it is a popular night view spot for lovers in Kochi. Thanks to the explanation from the temple staff, I have a better understanding of Japanese religious culture. While listening to the explanation I could feel the charm of the temple that made me relaxed. 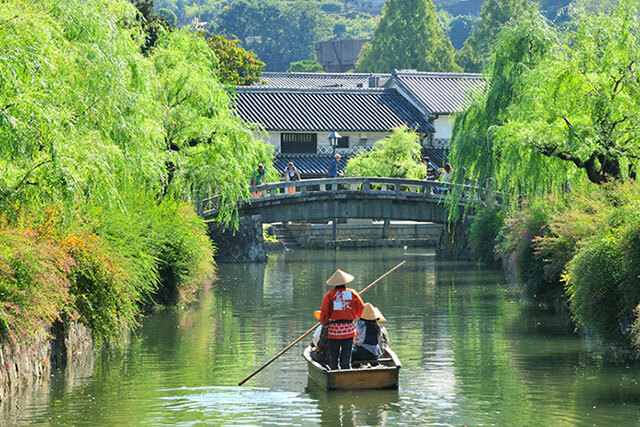 It is a very attractive place symbolizing Japanese culture. From its great atmosphere, you can look out at the ocean. It’s a spacious café, so you can enjoy your meal with your friends and family without being bothered by the sounds of other people even when its crowded. The food was also very delicious. 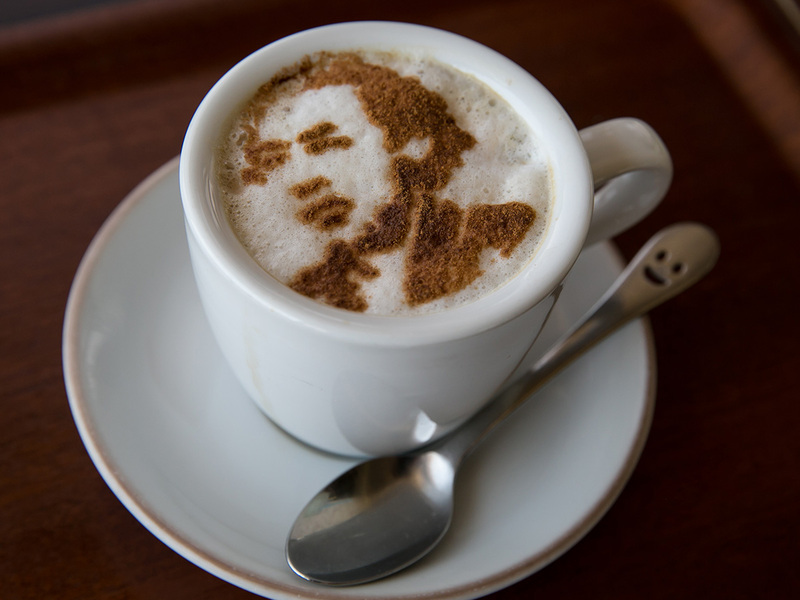 I recommend the Ryoma cappuccino. 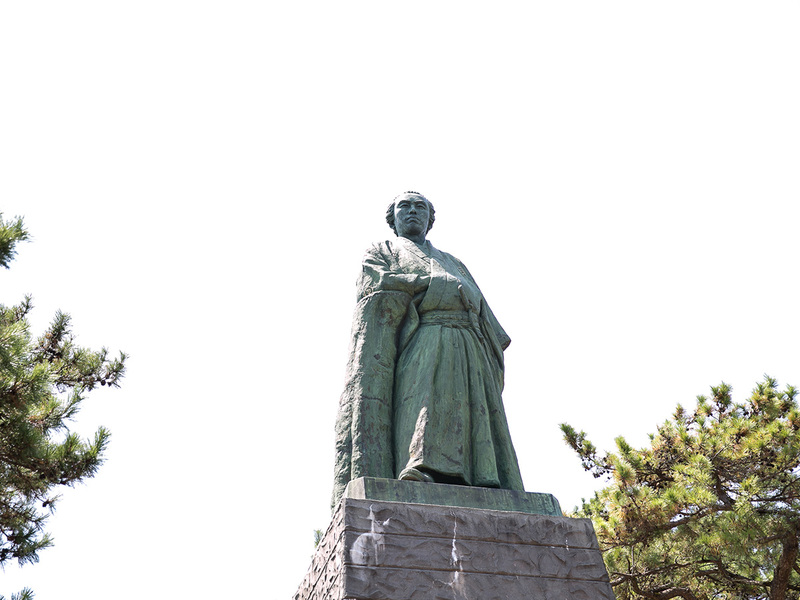 There are plenty of places in Kochi Prefecture associated with Sakamoto Ryoma, but Katsurahama is the most beloved.The bronze statue of Sakamoto Ryoma standing on Kochi Katsurahama was completed 88 years ago in 1928 by Motoyama Hakuun and is 5.3 m tall, 13.5 m overall when including the pedestal. 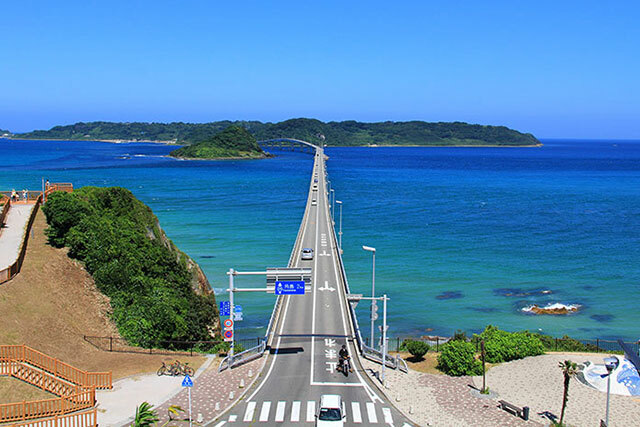 Particularly noteworthy is the fact that it was built though fundraising by youth volunteers in the prefecture, and symbolizes the passing on of Ryoma’s youthful spirit and courage to bravely press forward without giving in to tyranny. 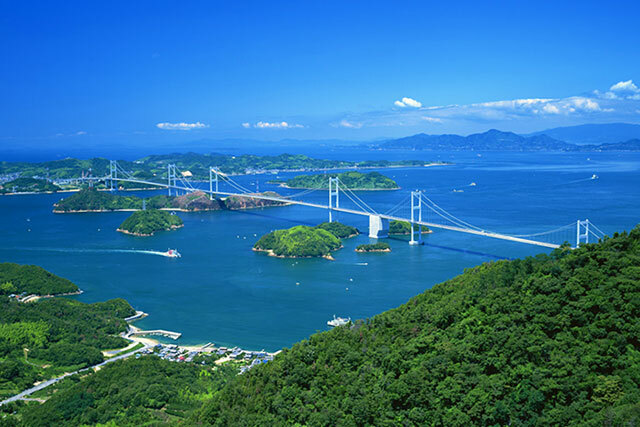 Anyone who visits Kochi goes to Katsurahama. 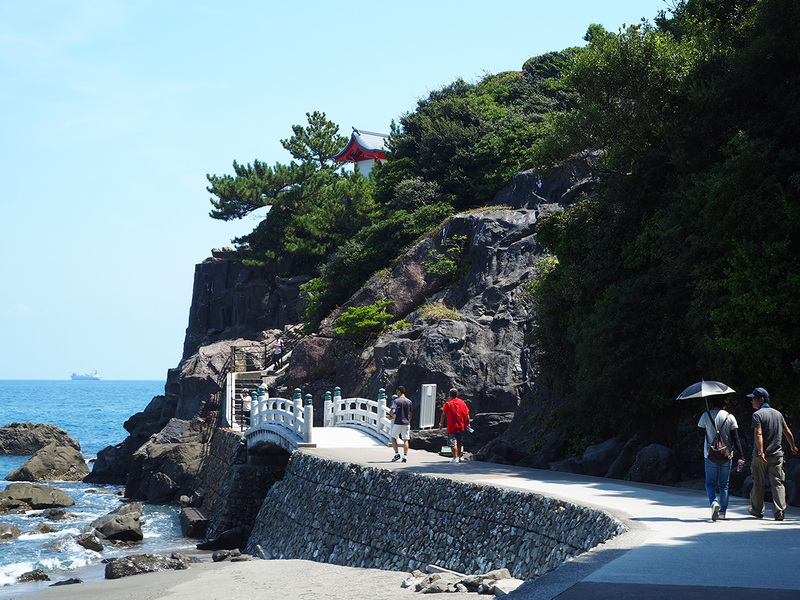 Here, you can find the famous statue of Sakamoto Ryoma overlooking the Pacific Ocean. 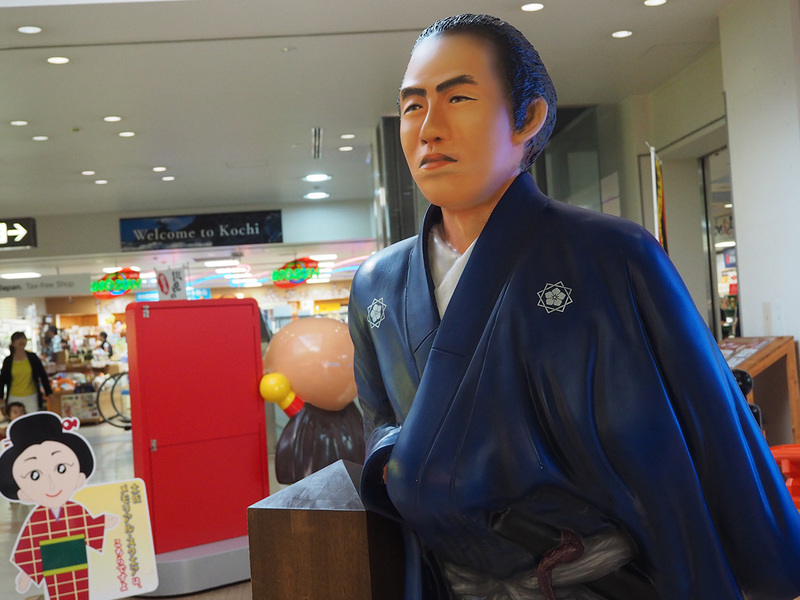 There is a lot of emotion attached to Ryoma's bronze statue for the people of Kochi. 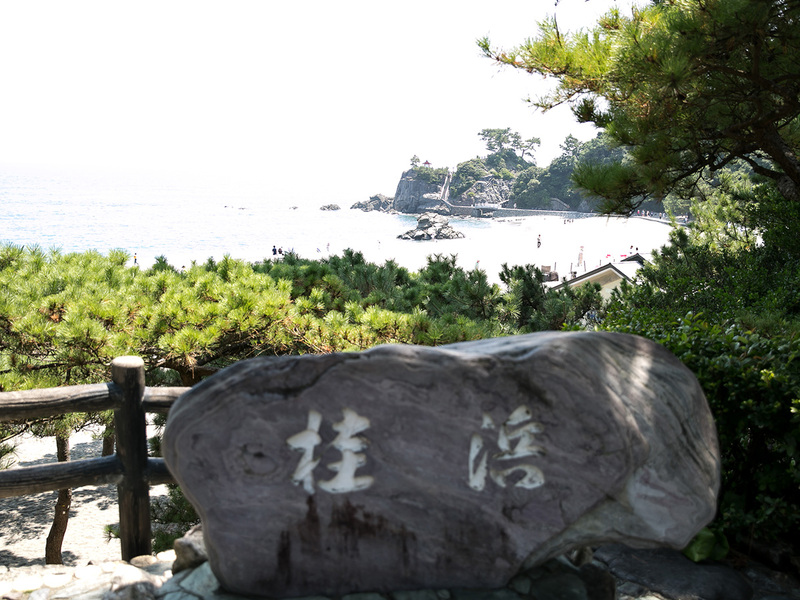 It also acts as the image poster of Kochi.In addition to the statue, there is the Sakamoto Ryoma Memorial Museum and other shops that sell Ryoma souvenirs, making Katsurahama inseparable from the history buff loving Ryoma.It is fun to stroll along white sandy beach at Katsurahama and see the sea animals up close at the Katsurahama Aquarium. 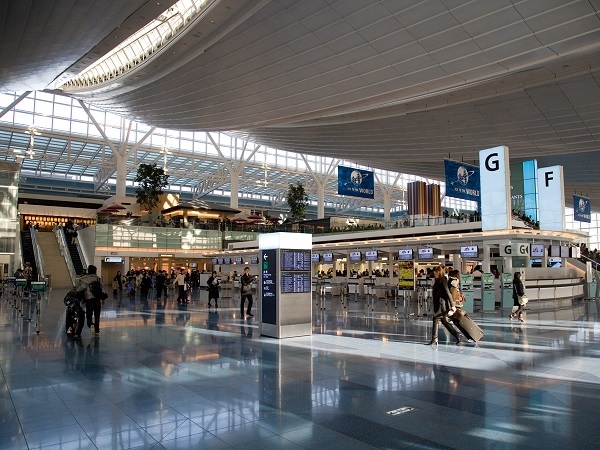 Because the airport is small, checking in and making your way to the boarding area takes no time at all. 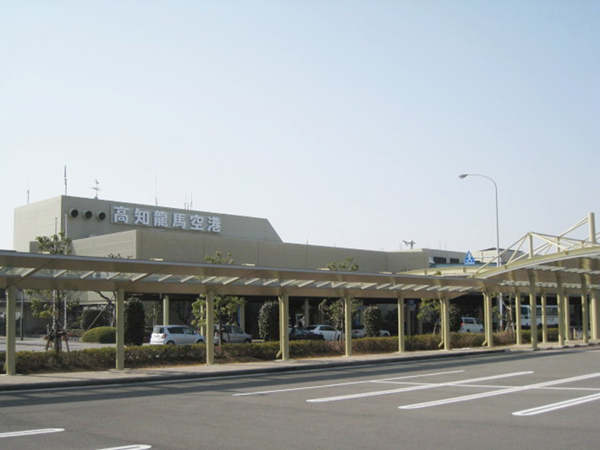 Kochi Airport has a free 3-day pocket Wi-Fi router service for foreign tourists. 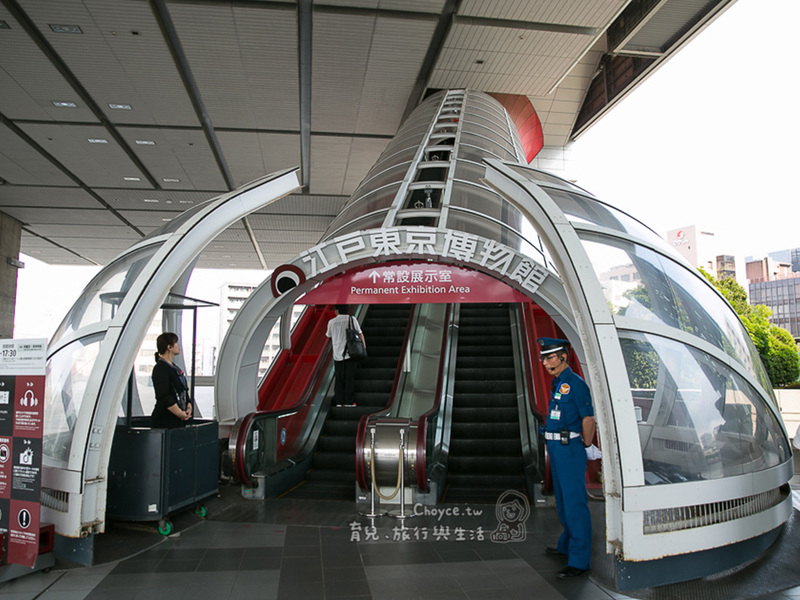 It can be returned at other airports and designated places, so it is very handy service for travelers! This was my first visit to Kochi and I had no idea that there were so many things to see. 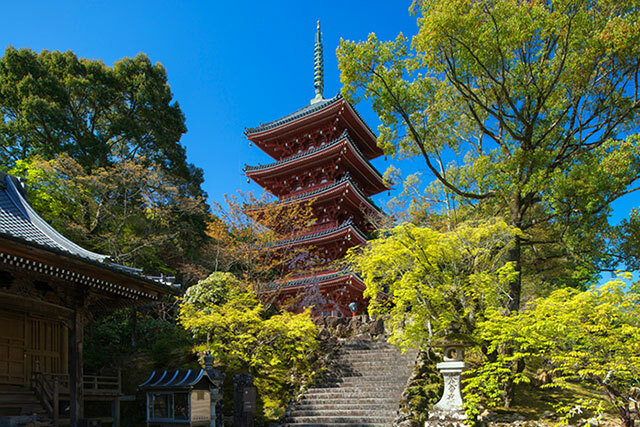 For example, of the 88 temples of the Shikoku Hachijūhakkasho pilgrimage, temples 24-39 are located in Kochi, Sakamoto Ryoma's spirit rests in Katsurahama, Chikurin-ji Temple is Temple 31 of the Shikoku pilgrimage, there are the Makino Botanical Garden, Urado Bay, and others. 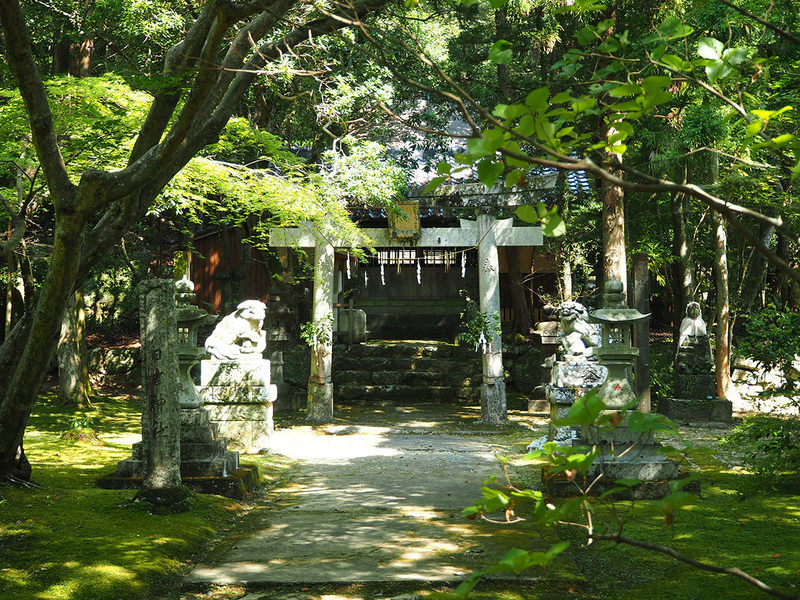 To really enjoy Kochi, how about taking the time a tour of the temples around Kochi? 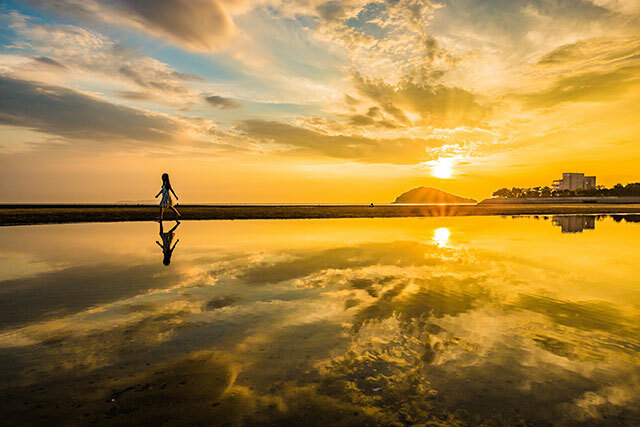 If you have a day in Tokyo, you can see everything from the elegant historical culture of Edo to spectacular skyscrapers.Kochi is not as well-known as Tokyo or Osaka, but it is very convenient for sightseeing. 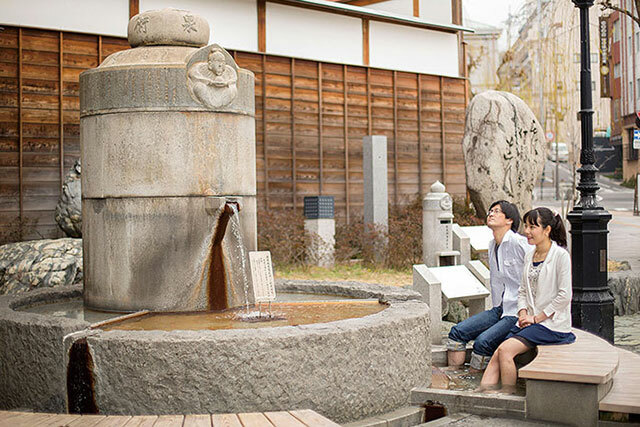 Public transportation will take you to famous sightseeing spots such as Ryoma's statue, Kochi Castle, and Chikurin-ji Temple. 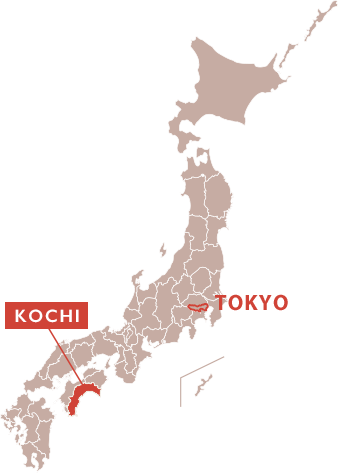 I recommend Kochi for its delicious food, beautiful scenery, and rich history.